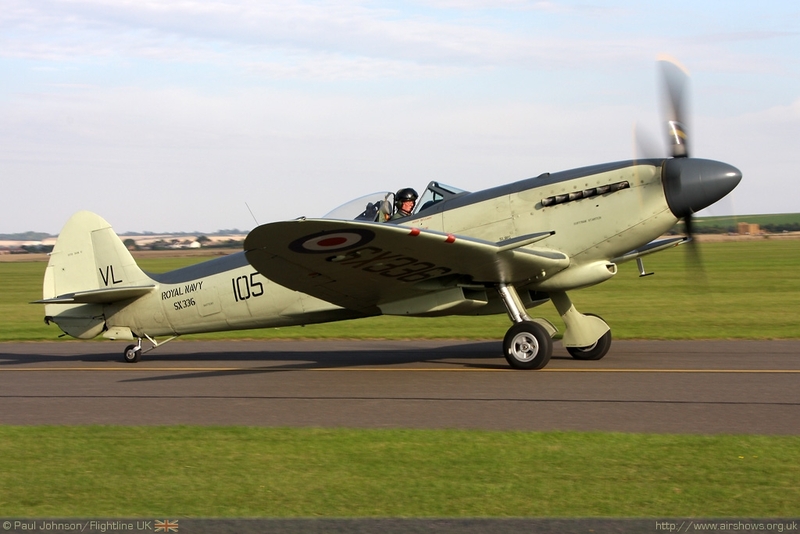 When airshow dates are announced, there are always some that just leap out at you as "must attend" events and a celebration of the Battle of Britain at Duxford has to be one of those. 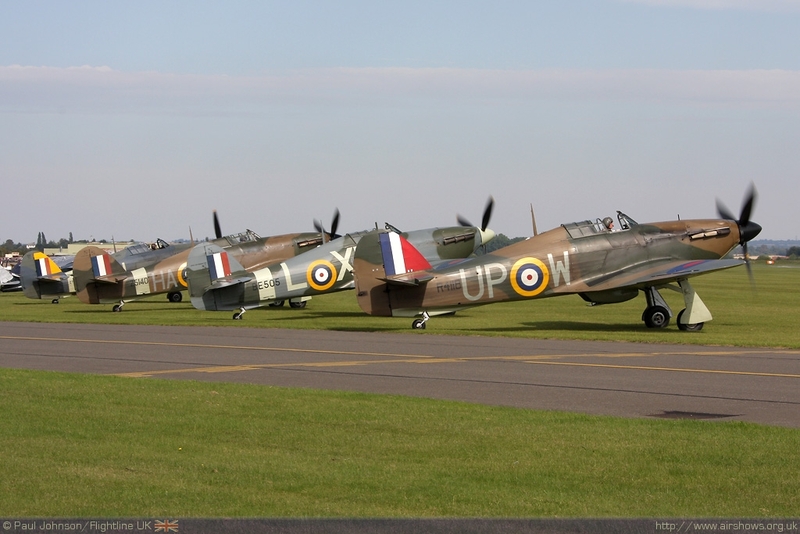 It is true that Duxford's other 2010 shows, the May Air Display and Flying Legends had strong "Battle of Britain" themes, but the September "Battle of Britain Airshow" was the main celebration of the achievements of the RAF in 1940. 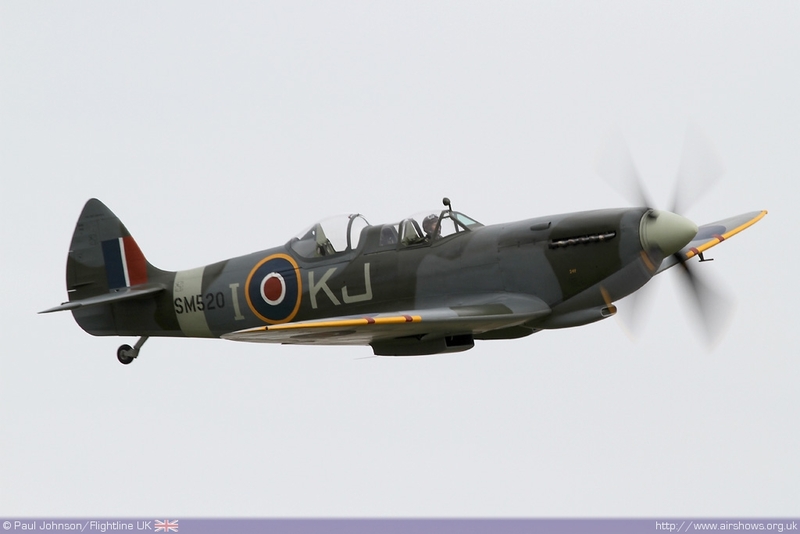 As it turned out, the event really was one to remember with perhaps the best flying display held at Duxford for many years and enjoyed record crowds and a superb mix of flying, historic and modern. 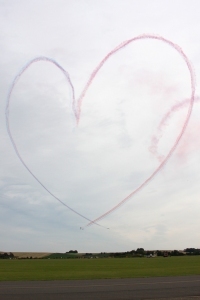 If you missed this show, you really have missed out in 2010. 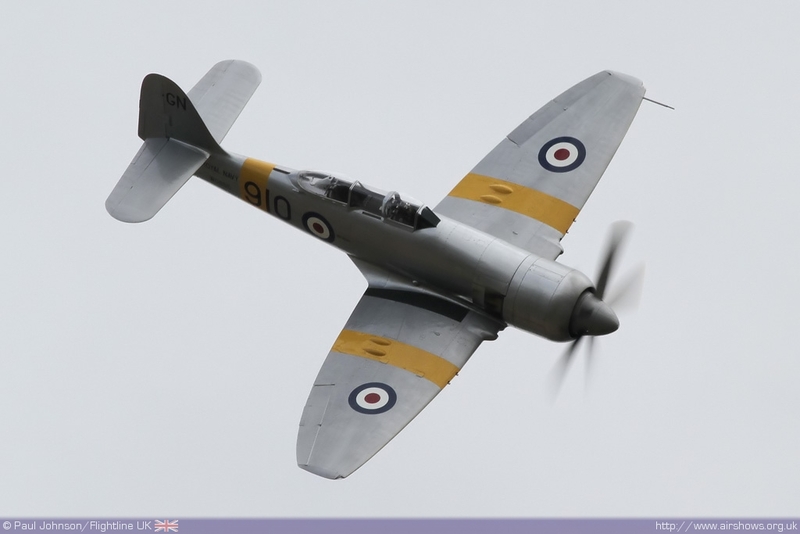 Back in July," Flying Legends" certainly stirred the soul with three hours of the finest piston-engined warbird displays. 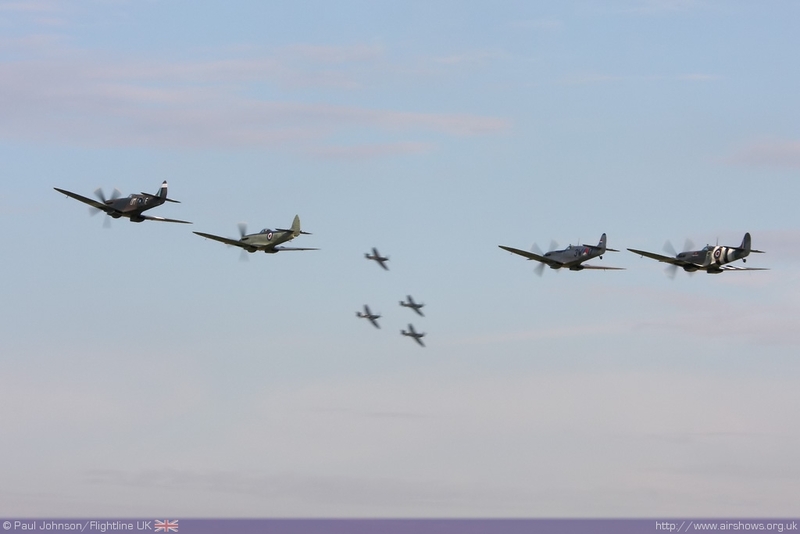 It's what we all call Duxford at its best. 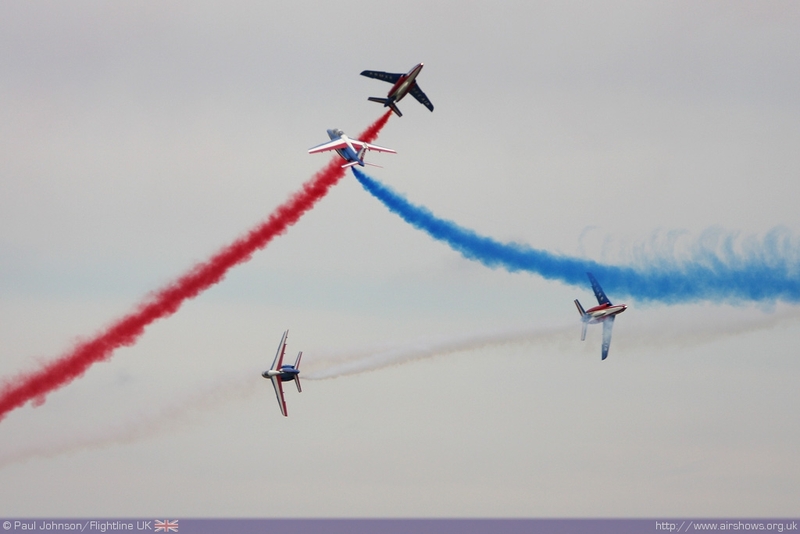 Usually the other three airshows are Duxford get slightly less acclaim despite being fine events in their own right. 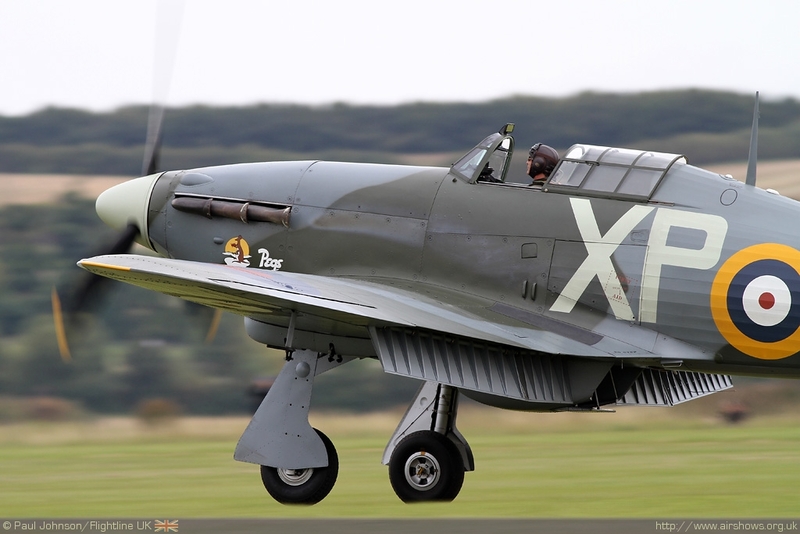 I think that quite rightly, it will be the Battle of Britain Airshow that will be remembered as the best Duxford airshow in 2010 thanks to a quite wonderful atmosphere and a quite superb mix of displays. 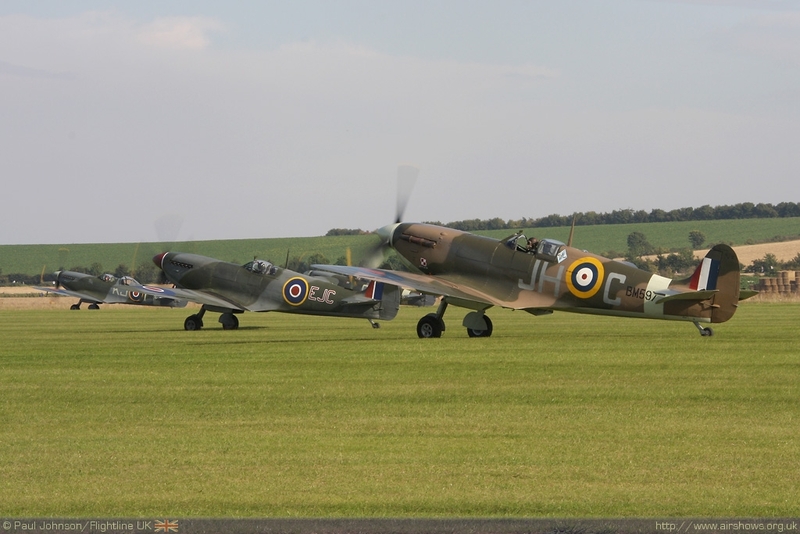 In fact, I certainly look back at Duxford as the finest Battle of Britain themed event in 2010, easily bettering the efforts of the much larger events held earlier in the year! 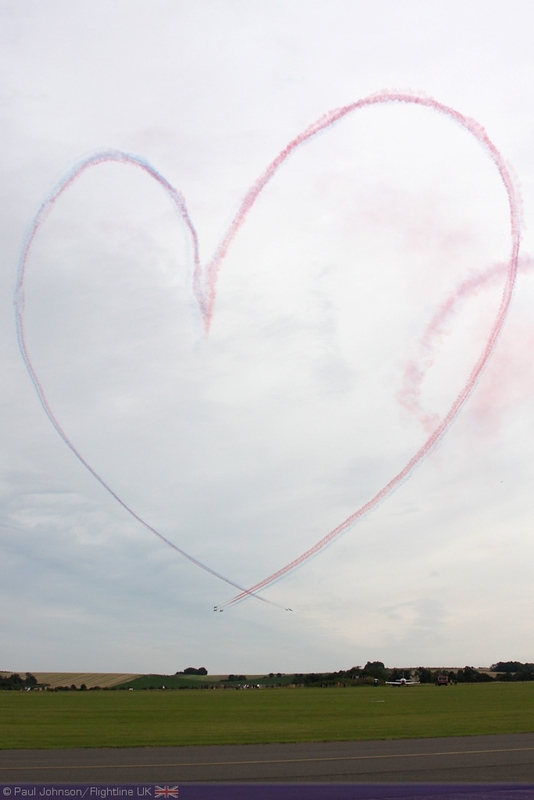 Many others clearly felt the same. Due to unprecedented attendance at the air show on Saturday 4 September, the Museum's car parks reached capacity and the gates were closed to further vehicles just after lunchtime. 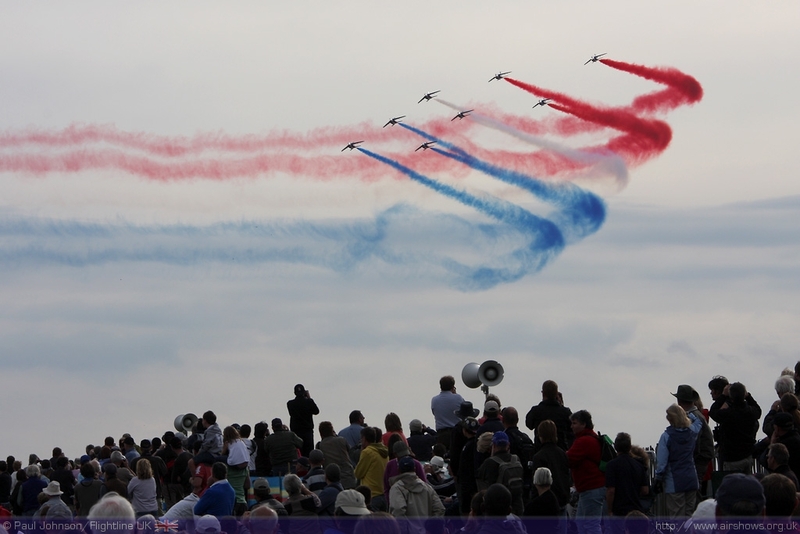 Sunday's crowds were just as large and it is estimated that 40,000 attended the show over the weekend. 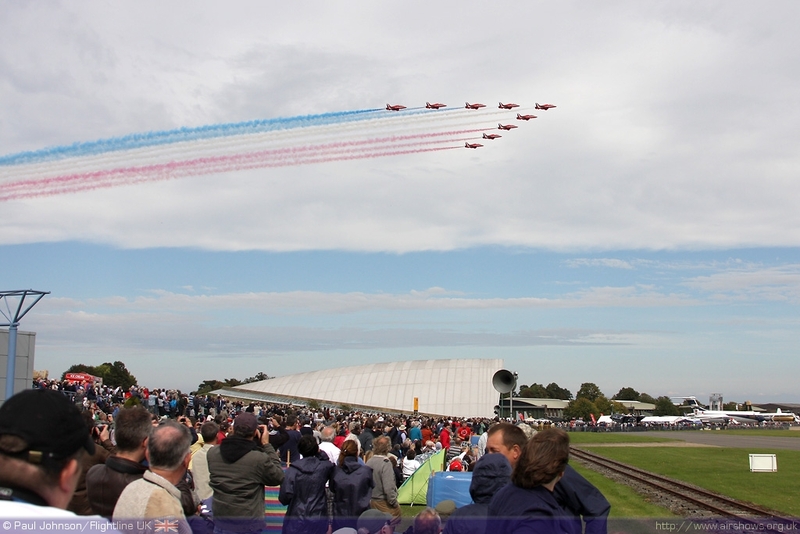 Duxford is certainly one of the most appropriate airfields to host such a large commemoration of the Battle. 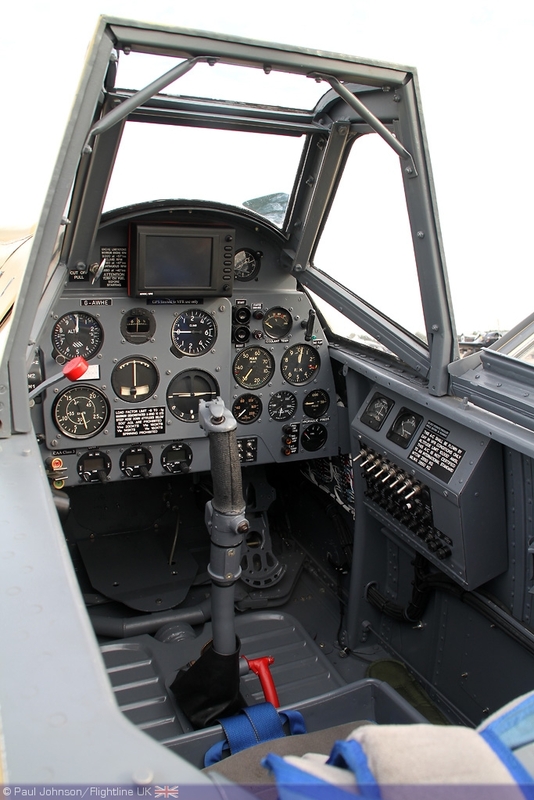 In 1940, Duxford was part of 12 Group led by Air Vice Marshall Trafford Leigh-Mallory and was home to 19, 242 and 310 (Czechoslovakia) squadrons during the height of the Battle. 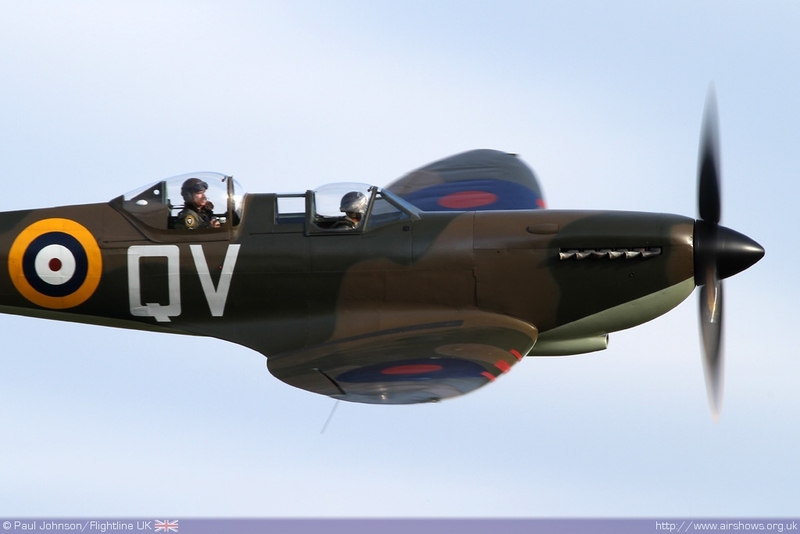 242 itself was led by the legendary Douglas Bader who along with Leigh-Mallory pioneered the "Duxford Big Wing" tactics which grew to five squadrons in September 1940 with the addition of 302 (Polish) and 611 Auxiliary Squadron. 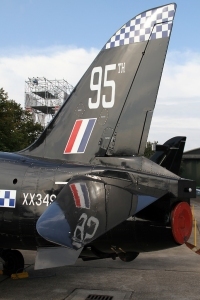 With five squadrons, the Wing was renamed "12 Group Wing" and took part twice in the massive air battles over Southern England on the 15th September 1940 in support of 11 Group. Many of the buildings from this period still survive on the northern and southern sides of the A505 that bisects the station. 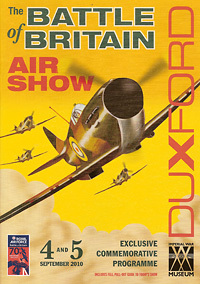 In the late 1960's, Duxford once again featured in a "Battle of Britain" as the set for the amazing motion picture directed by Guy Hamilton and produced by Harry Saltzman. 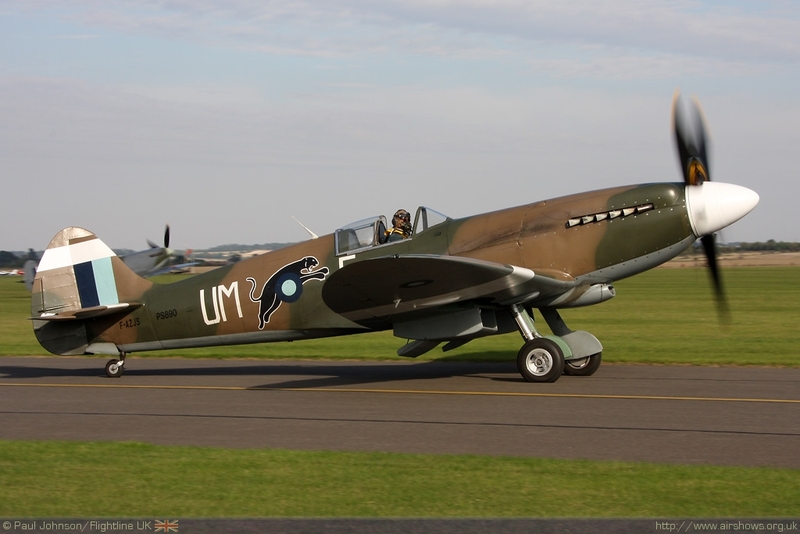 Various corners of Duxford saw action as the French airfield and Chateau in the opening sequences and as various RAF airfields. 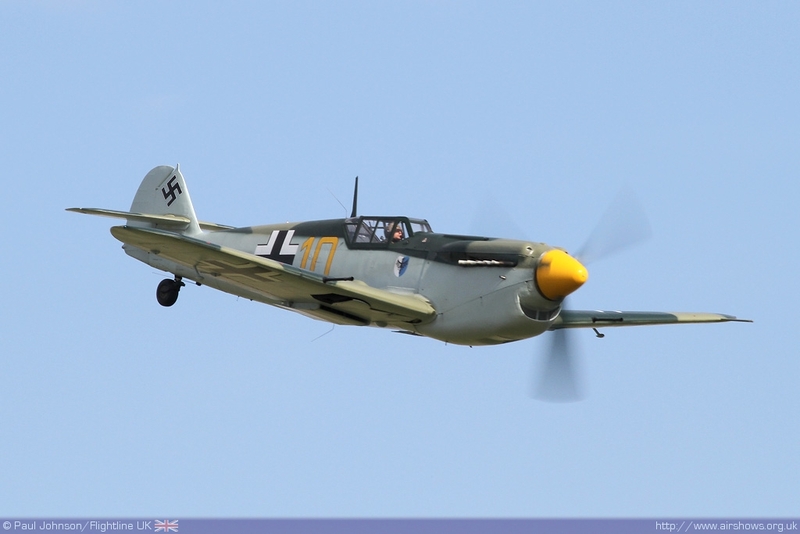 The film brought together 12 flyable Spitfires and three flying Hurricanes as well as a fleet of ex-Spanish Air Force Hispano HA-1112-MIL Buchons (Messerschmitt Bf109) and CASA 2.111 bombers (Heinkel He111 bombers.) 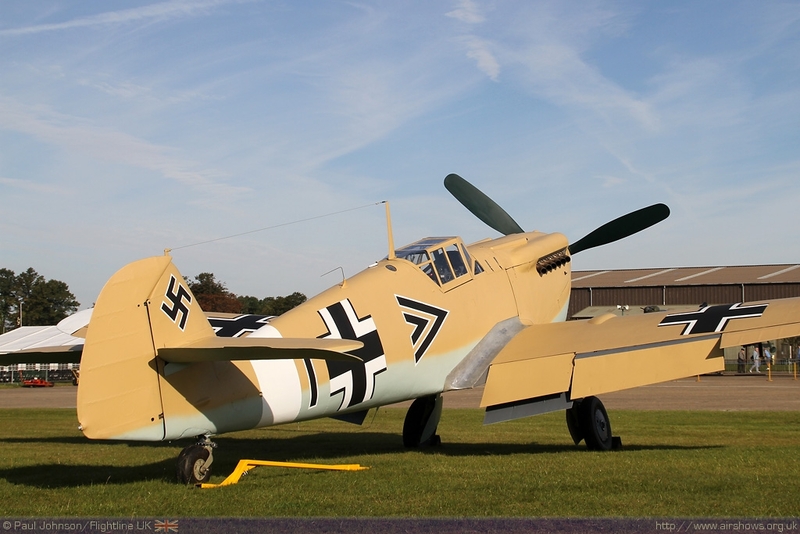 The film is quite rightly linked to the birth of the "warbird" restoration movement that is so prolific at Duxford today. 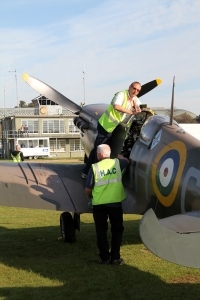 That filming did leave a lasting legacy on Duxford apart from the warbirds, the destruction and demolition of one of the Belfast hangers. 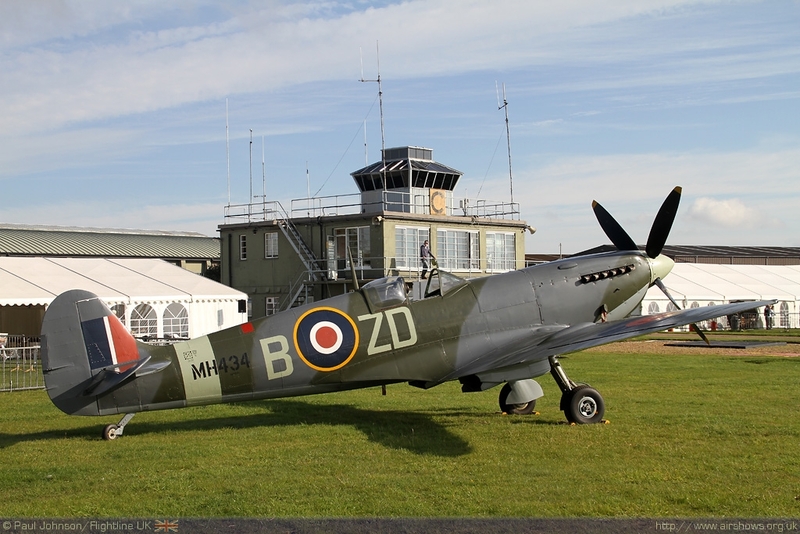 The foundations and floor of the hanger still remain and for the show were used as a static area for 19(R) Squadron's Hawk T1 and T2 aircraft who were the first squadron to receive the Spitfire here at Duxford. 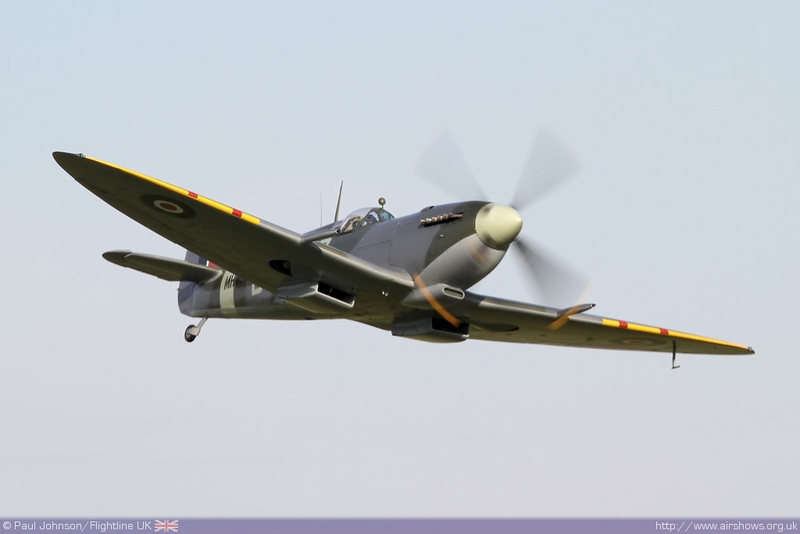 As we mentioned earlier, the Battle of Britain film kicked started the aircraft restoration industry as interest in historic piston engined aircraft increased after the film. 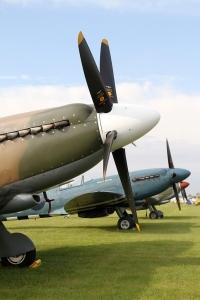 Today, Duxford is at the forefront of the industry in the UK with the Fighter Collection, Old Flying Machine Company, Aircraft Restoration Company, Historic Aircraft Collection and Historic Flying Ltd calling Duxford home. 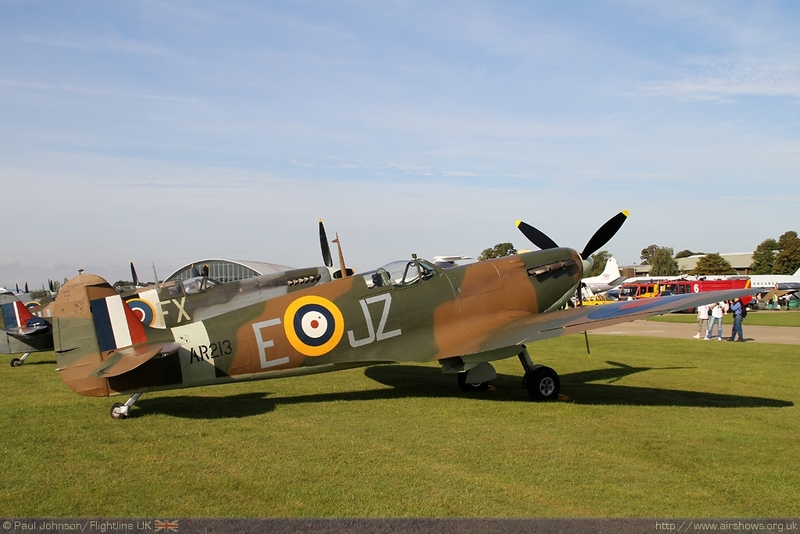 The Battle of Britain Air Show was one of the largest air shows at Duxford in recent years, reflecting the significance and public support for the 70th anniversary of the Battle of Britain Away from the aircraft, living history groups brought Duxford to 1940s life with atmospheric interpretations of Second World War RAF pilots, engineers and WAAFs. 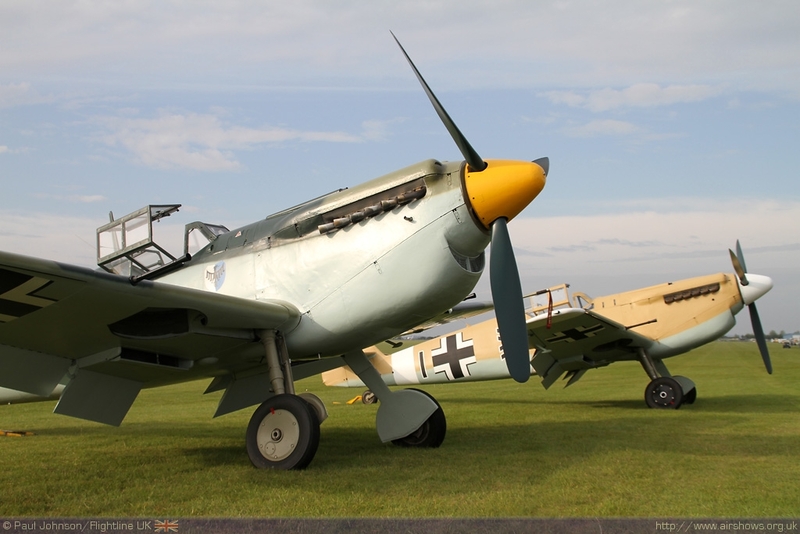 There were also a number of static aircraft on display representing some of the nations that participated in the Battle. 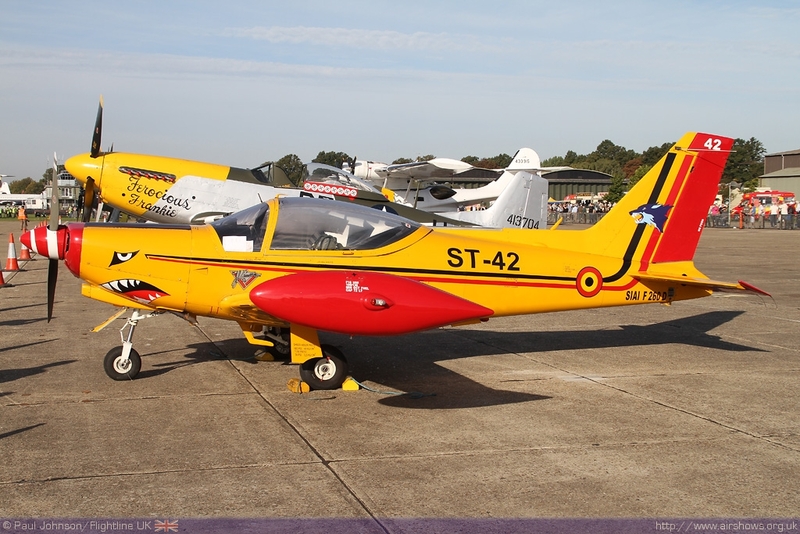 A Belgian Air Component SIAI-Marchetti SF260 sat alongside the De Havilland Vampire T55 'PX-M' of the Royal Norwegian Air Force Historic Squadron based at Rygge. 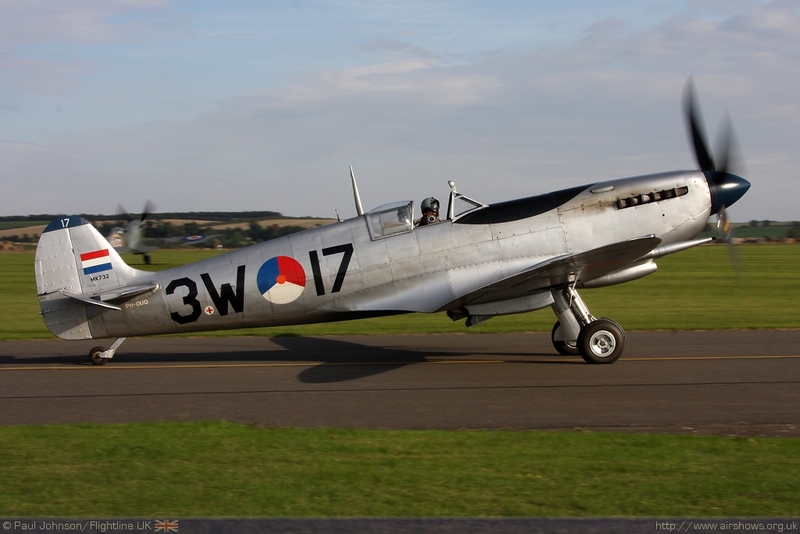 The Royal Norwegian Air Force has close links with the Royal Air Force and operations during the Second World War. 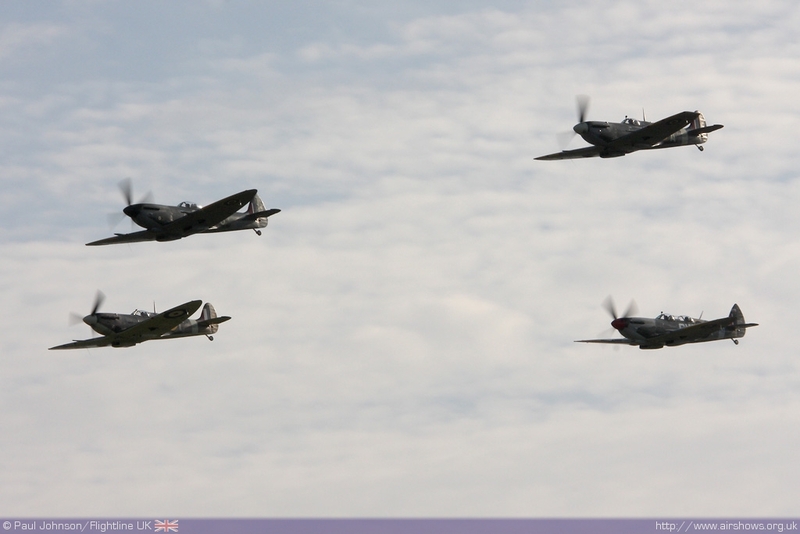 Nos 330, 331, 332 and 333 were also Norwegian squadrons during 1939-1945. 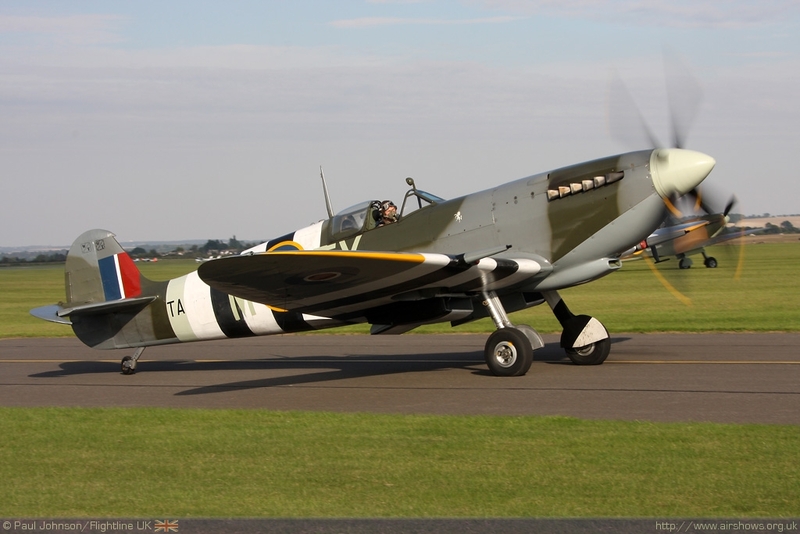 331 and 332 squadrons both flew Spitfires with the Royal Air Force from such historic airfields at North Weald. 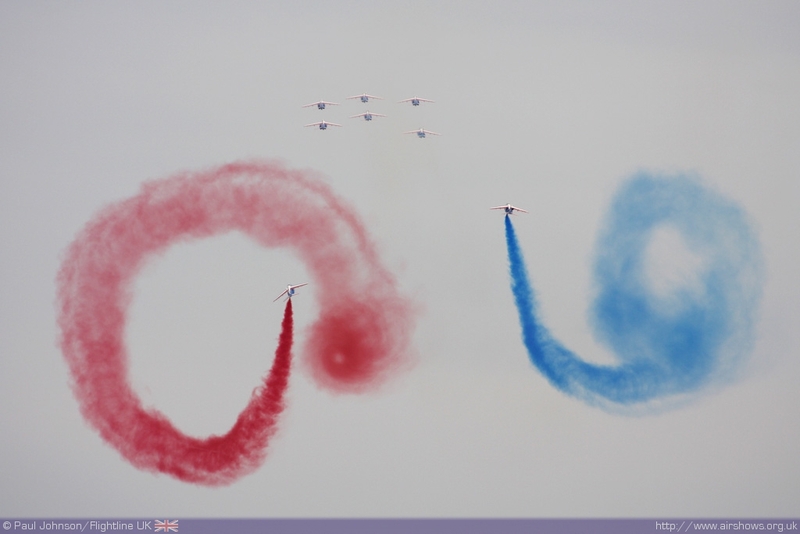 There were further representatives of the allied nations in the flying display too. 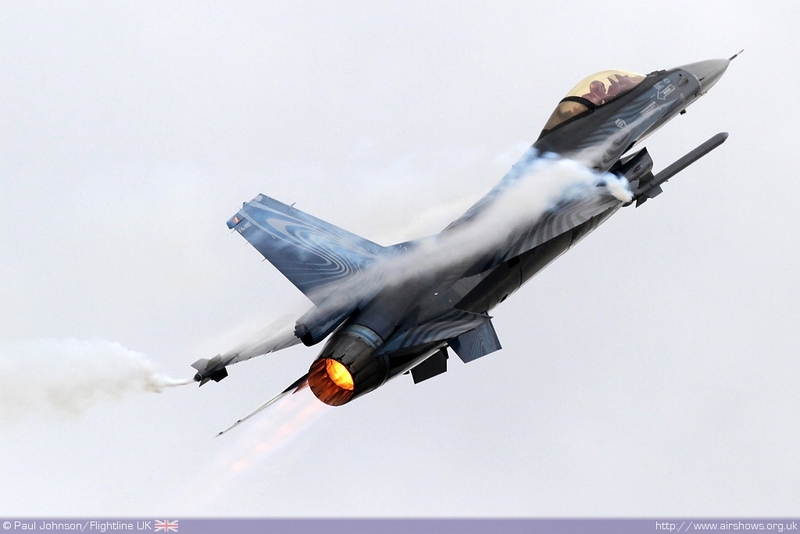 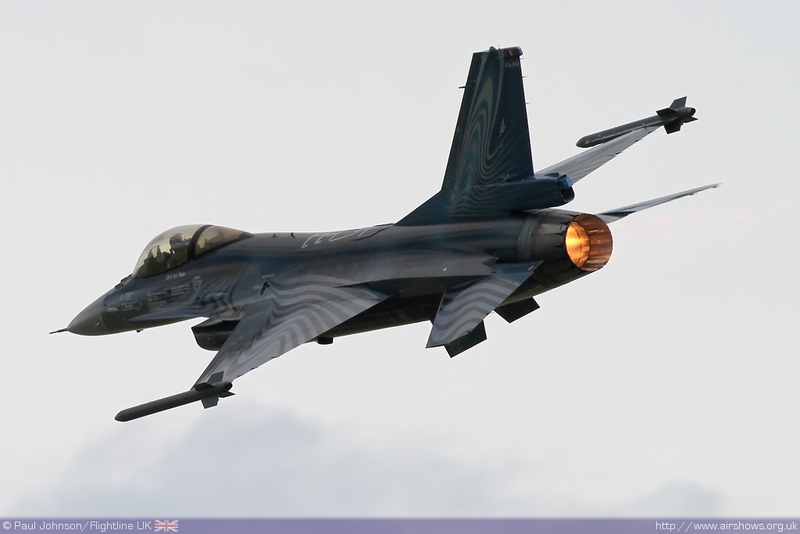 The Belgians were represented again by the solo F-16AM Fighting Falcon flown by Michel 'Mitch' Beulen. 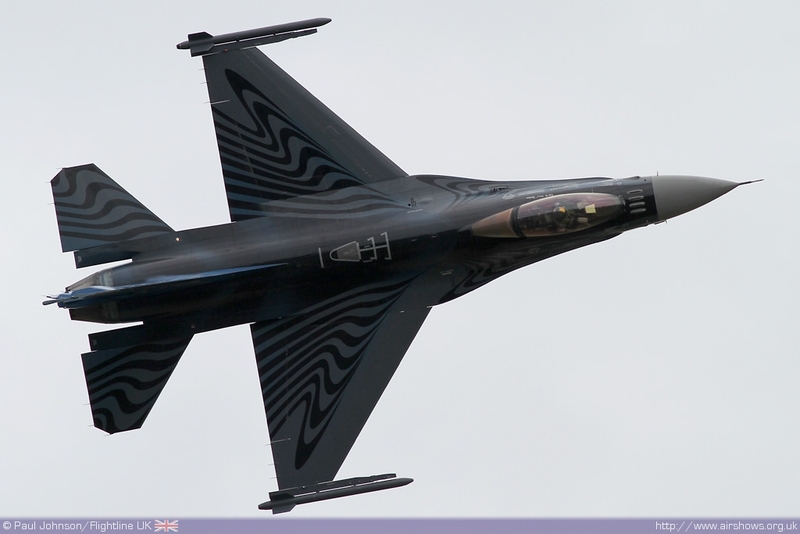 The Belgian F-16 display has been one of the highlights of the season with its noisy, fast paced, smoothly flown display combined with a stunning paint scheme! 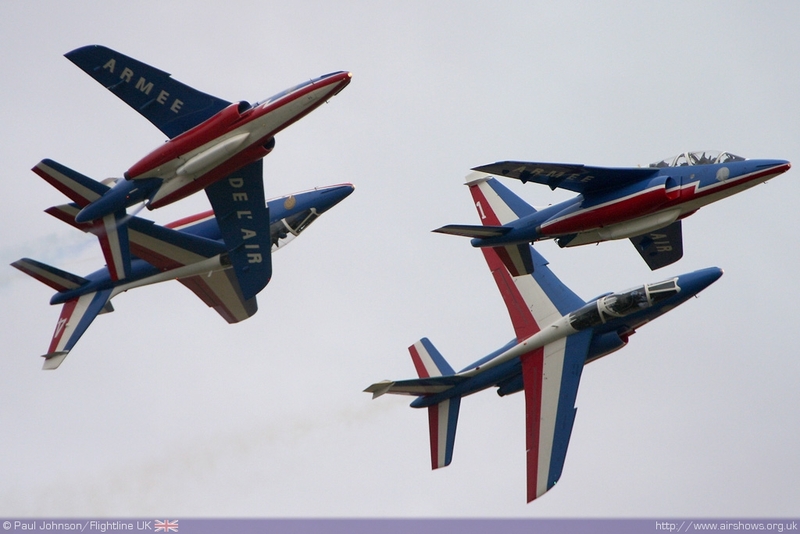 However, the star turn in the international line-up was a return to Duxford by the French Air Force aerobatic display team, La Patrouille de France. 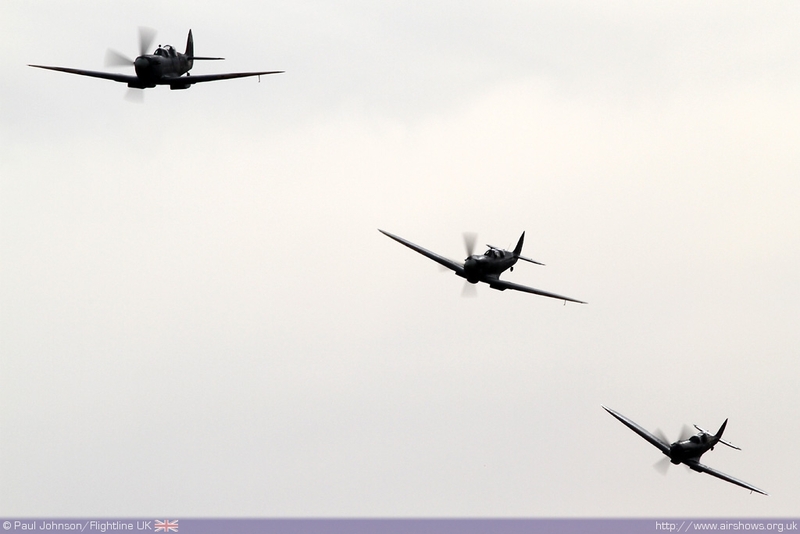 For once at Duxford the weather played ball allowing the team to perform a full display under the overcast. 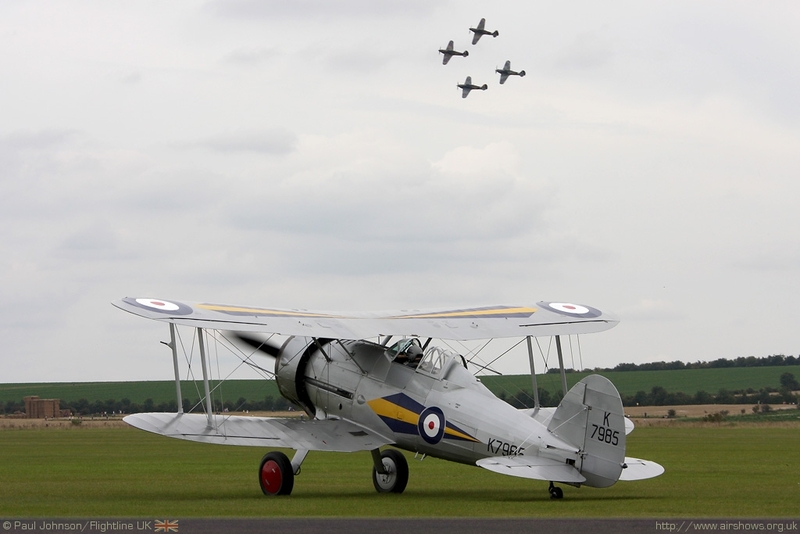 Their 2010 display is certainly the best we've seen from the team in recent years with action all the time and they were certainly a welcome addition to the Duxford line-up on the Saturday. 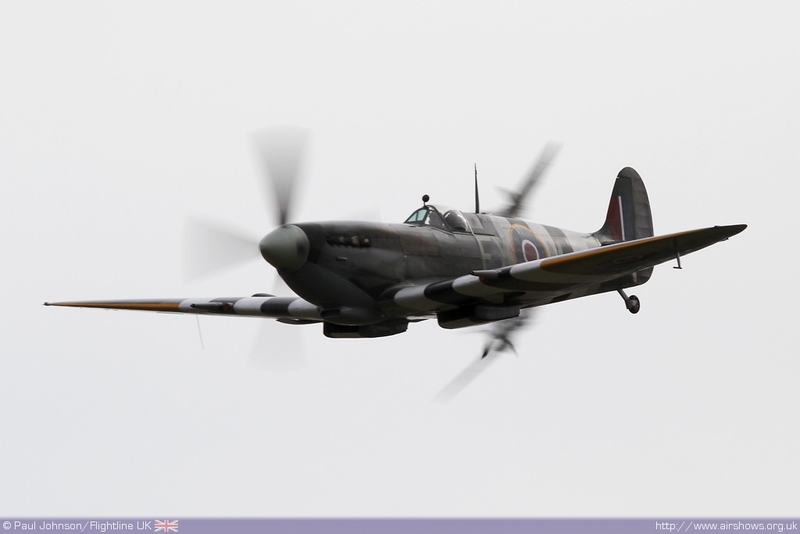 The modern day Royal Air Force was also on hand to play tribute to the events of 70 years ago. 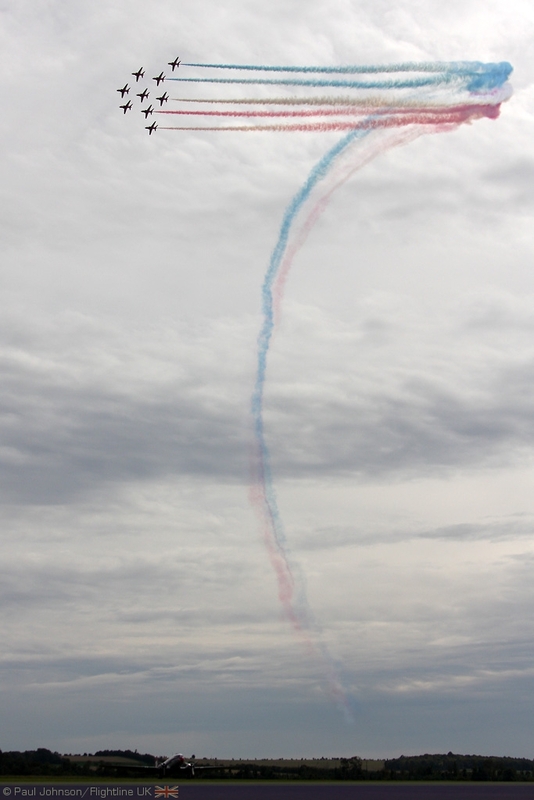 The Red Arrows opened the show on both days making a welcome return to Duxford where that have only made few appearances in recent years. 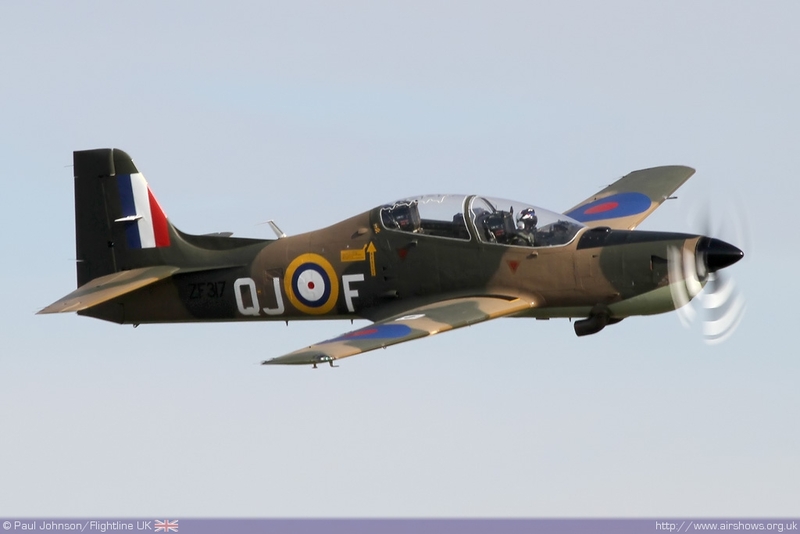 19(R) Squadron were also represented in the flying displays on both days with a flypast by five Hawks on the Saturday and four on the Sunday. 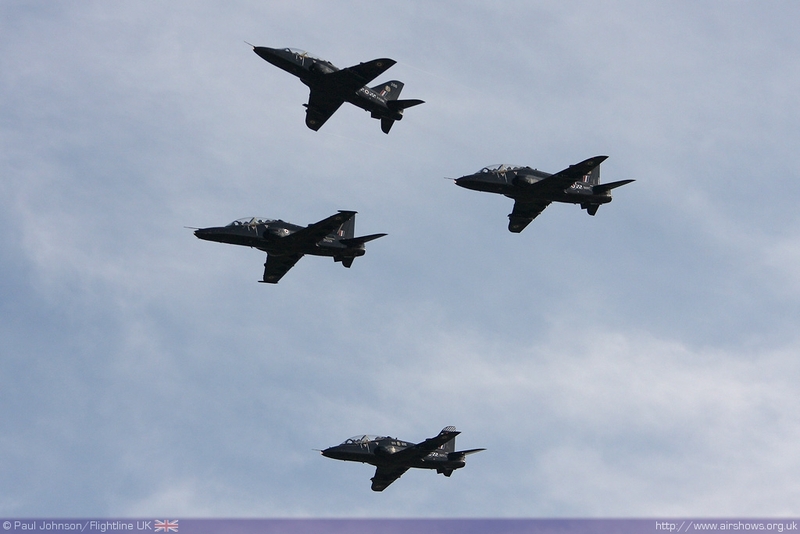 The passes on both occasions were led by the latest Hawk T2 variant just entering service with the squadron. 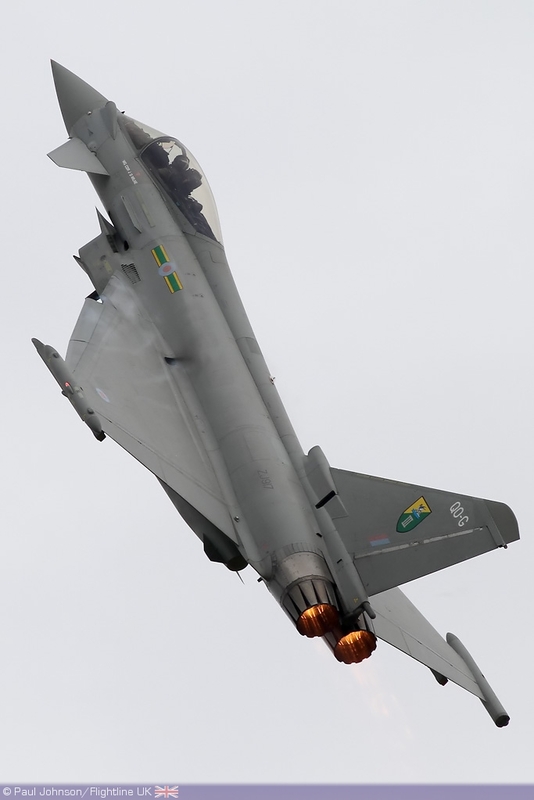 Saturday's display saw the 29(R) Squadron Typhoon FGR4 represent the RAF's solo displays while Sunday saw the Tucano T1 from 72(R) Squadron in its Battle of Britain scheme. 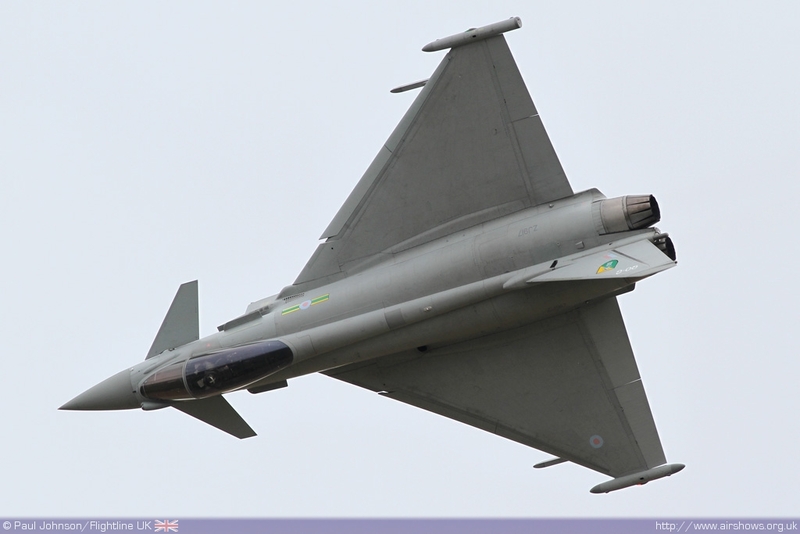 The Typhoon felt somewhat overshadowed by the Belgian F-16 which is somewhat surprising considering the Typhoon is a much more modern and more powerful fighter! 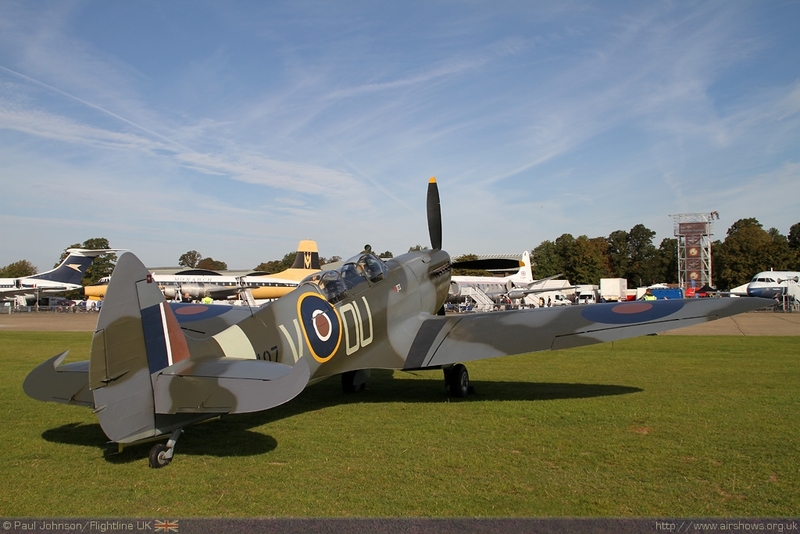 The Battle of Britain Memorial Flight also displayed adding a further Spitfire V and Hurricane IIc to the line-up along with the Lancaster. 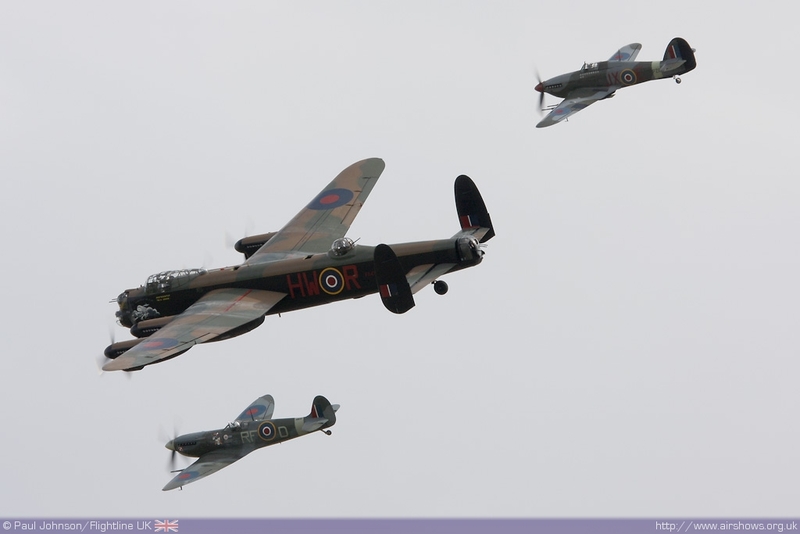 It was a busy weekend for the Flight which also displayed at the big Battle of Britain Concert held at Chartwell House in Kent on top of numerous other flypast on their way to and from RAF Coningsby. 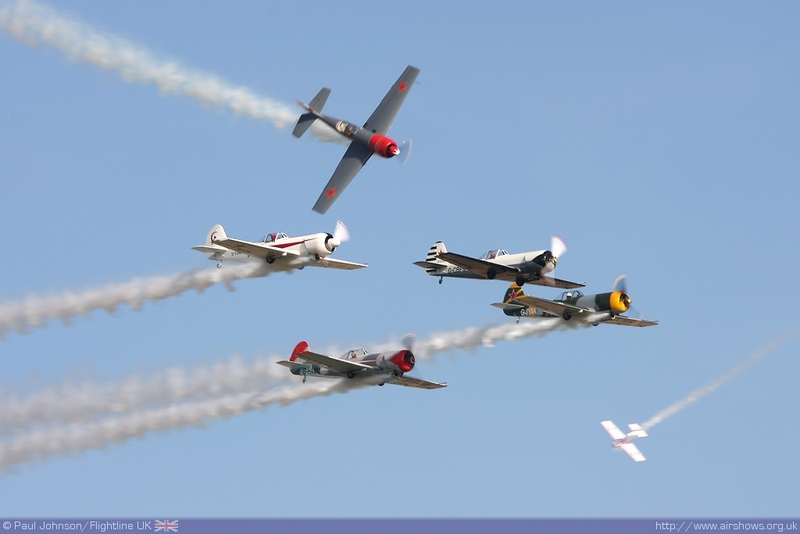 The only civilian display that did not form part of the Battle of Britain theme were the Aerostars which provided the second formation aerobatics display on the Sunday in place of the Patrouille de France. 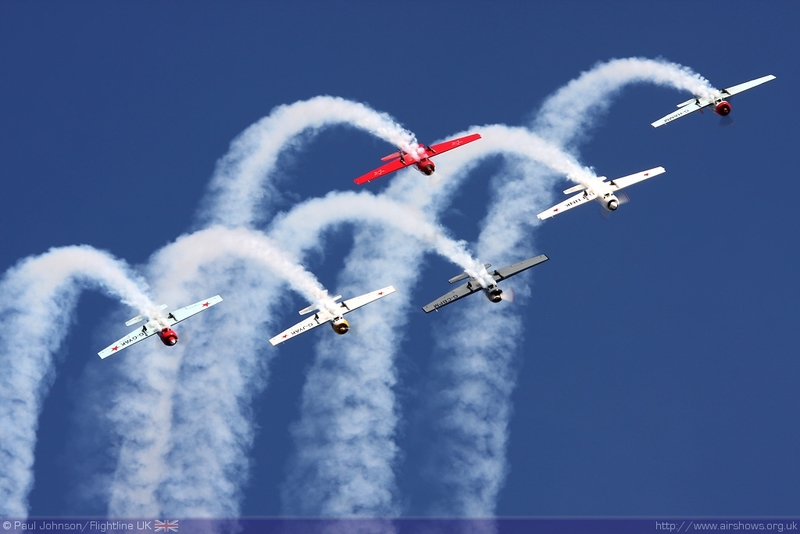 Their display is still one of the most exciting and colourful civilian displays on the circuit with their six Yakovlev Yak-50s and they looked great against the blue skies over Duxford. 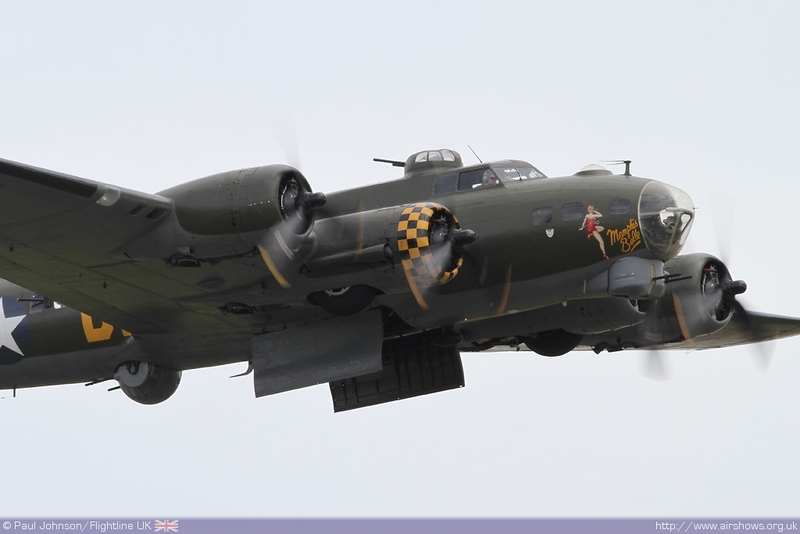 However, it was the historic aircraft that made this show so special. 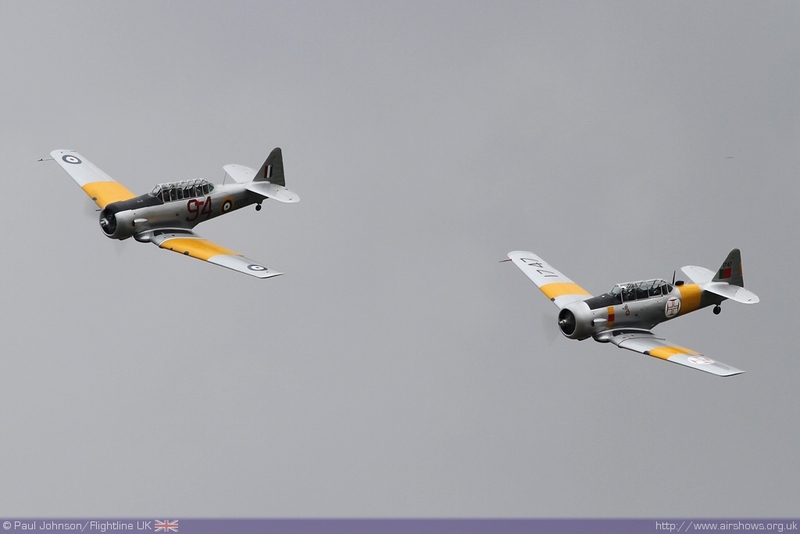 One of the opening acts was the Fighter Collections "ultimate piston pair" of Grumman F8F Bearcat and Hawker Sea Fury T20. 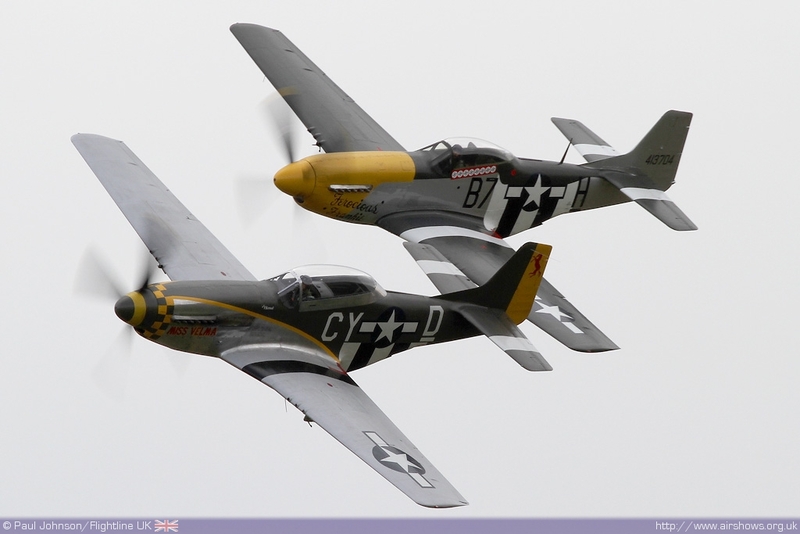 While they did not fly together, it's a pairing that stirs memories of the duo displays given by Stephen Grey and Ray Hanna in these aircraft. 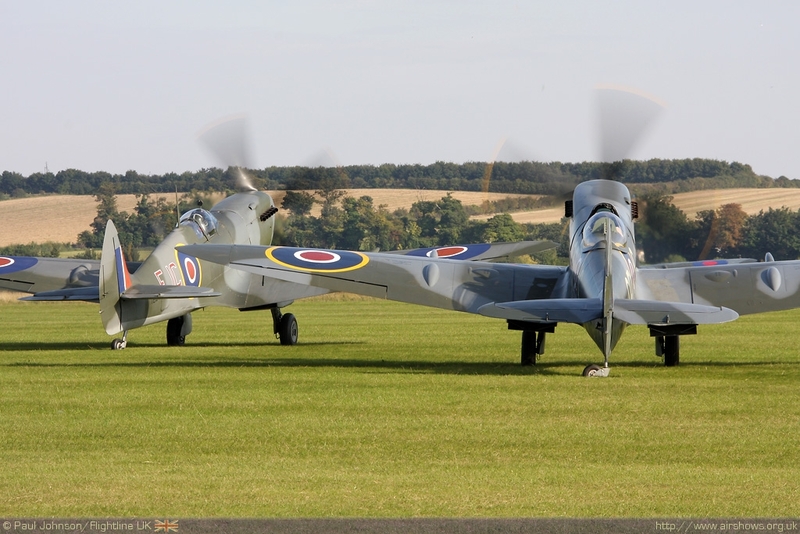 The two aircraft are possibly the two most exciting warbirds to watch being put through their paces and they provided an excellent opening act to what was to follow. 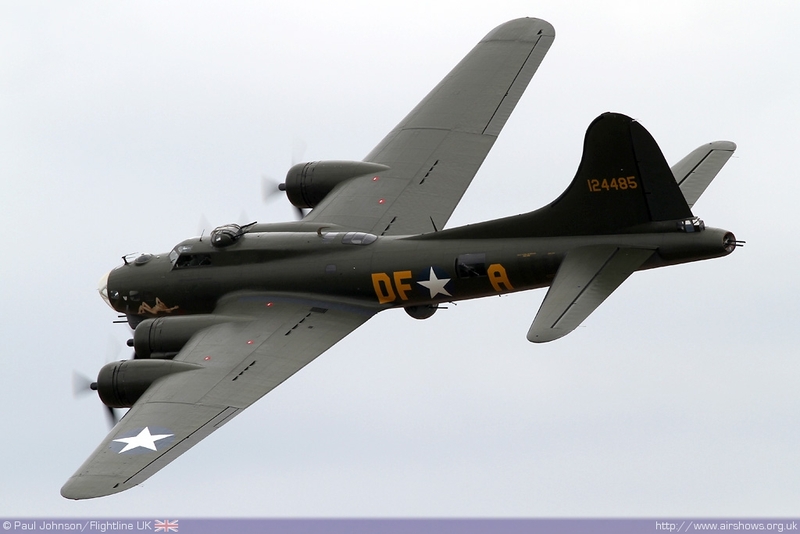 There was also a small American theme within the flying displays with TFC's P-51TF Mustang Miss Velma and B-17G Flying Fortress Sally-B flying on both days. 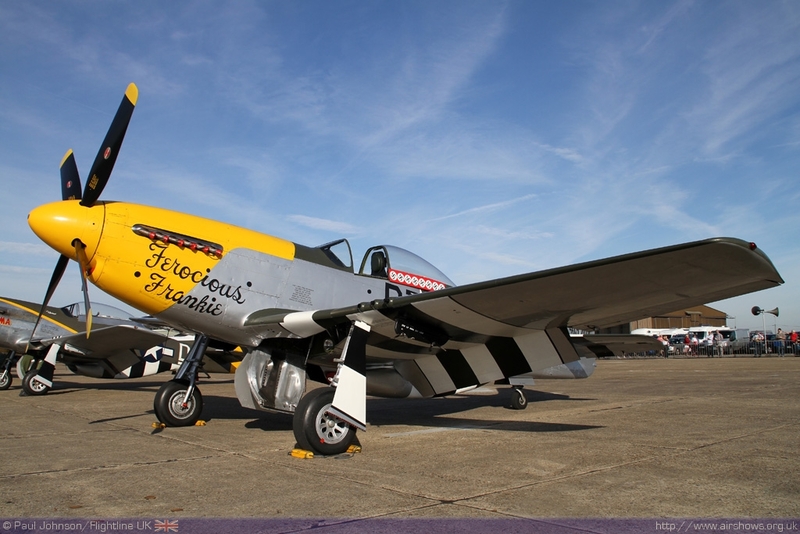 Sunday saw the addition of OFMC's P-51 Ferocious Frankie and the Catalina to the flying displays. 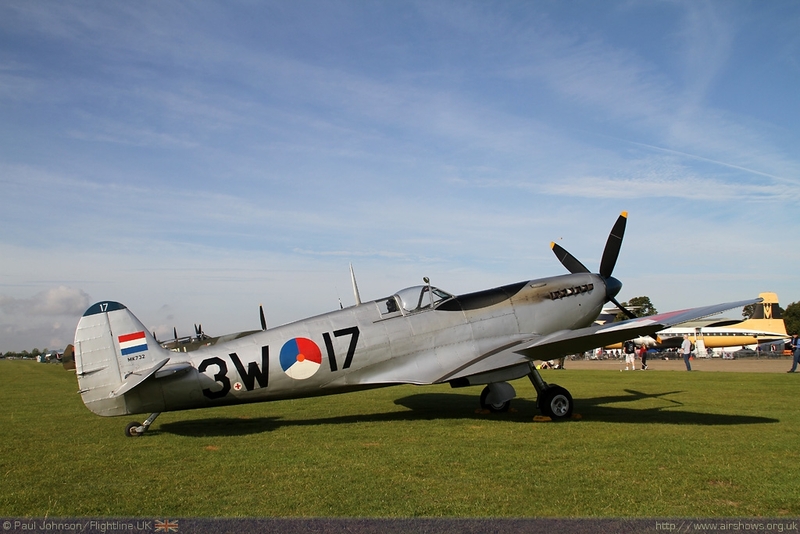 Following its role in the Battle of Britain, Duxford was also home to the United States Army Air Force fighter squadrons and still retains strong links with the United States Air Forces in Europe to this day. 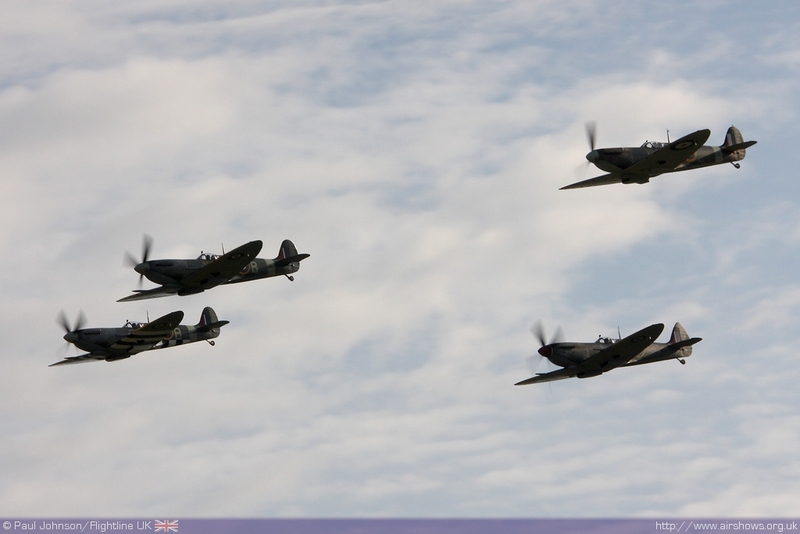 Duxford presented a wide range of aircraft in the Battle of Britain theme. 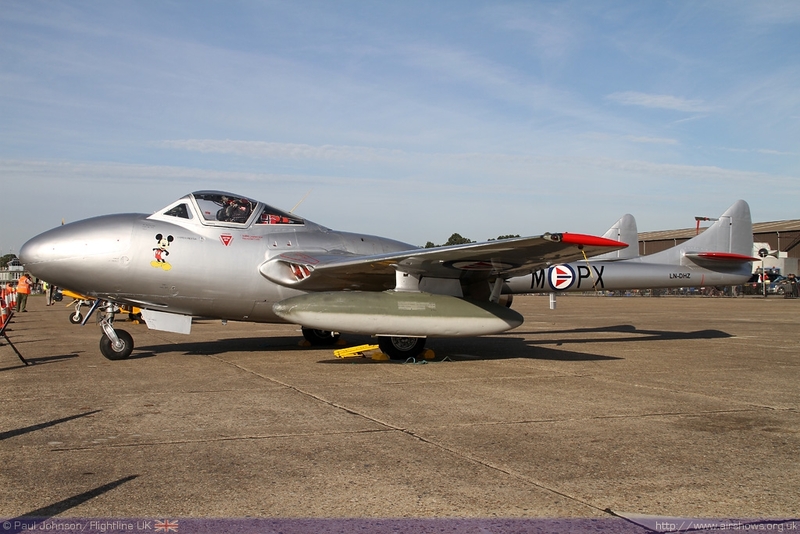 Like some other airshows earlier in the year, Duxford also included displays by some of the training and liaison aircraft that played a vital role in training and supporting the front line pilots. 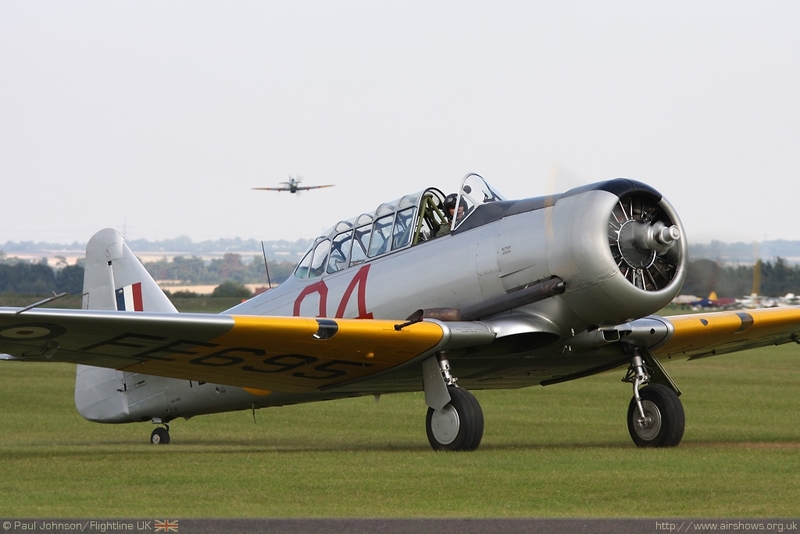 Anna Walker and John Dodd flew an aerobatic sequence in perhaps the most famous allied training aircraft of the Second World War, the North American Harvard. 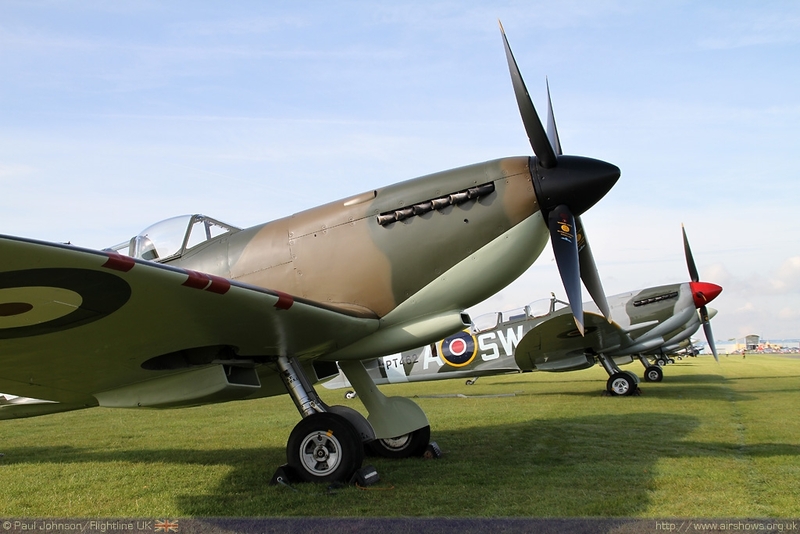 The aircraft on display were operated by the Fighter Collection and the Aircraft Restoration Company and still earn their keep today as valuable training aircraft before potential pilots go on to the more powerful and exotic warbirds such as the Spitfires or Mustangs. 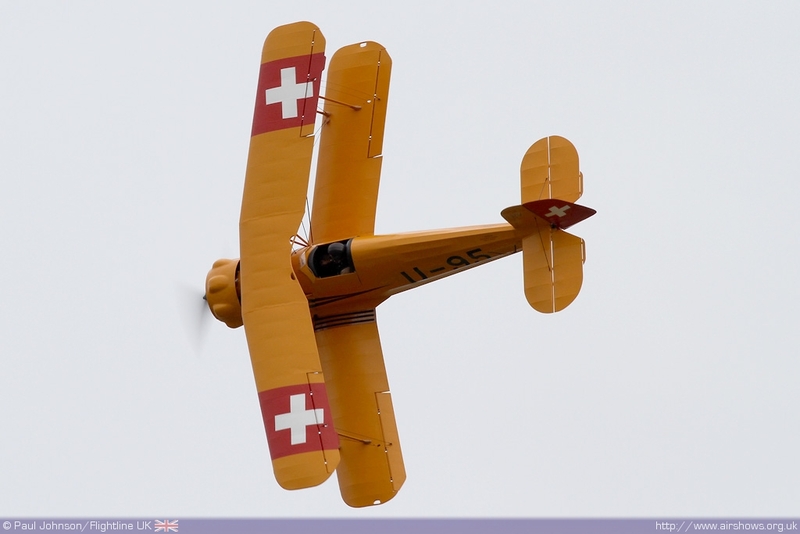 Anna Walker also displayed one of the German trainers also included in the display, the Bucker Jungmann. 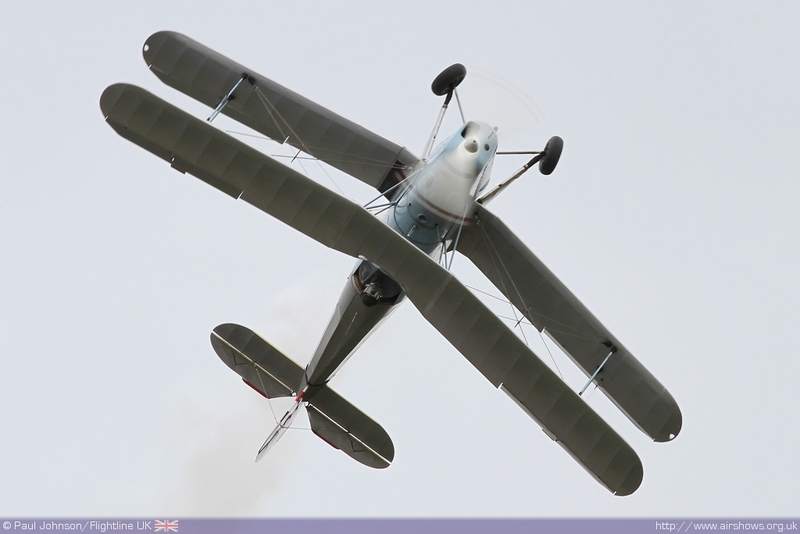 She was joined by Mark Rijkse in his Bucker Jungmeister and bother put on superb aerobatic displays. 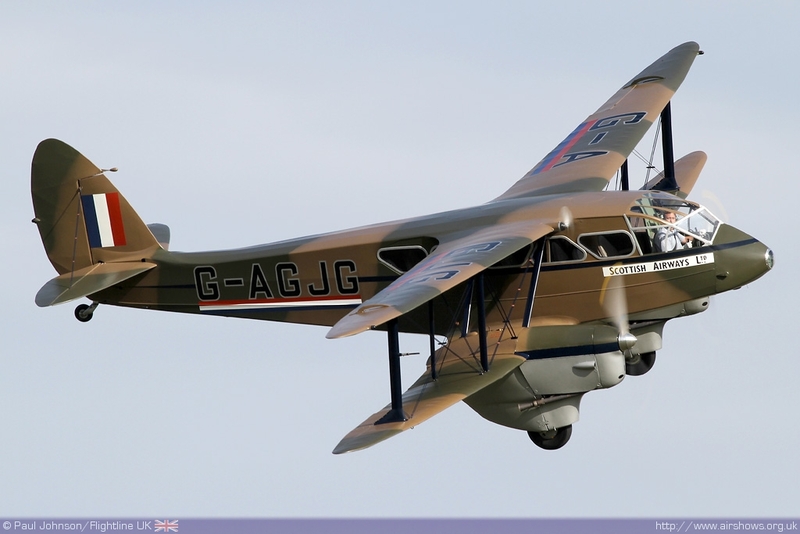 The contribution of the lighter, liaison and transport types that played a vital role ferrying pilots between the front line squadrons and maintenance units were represented by a clutch of De Havilland types. 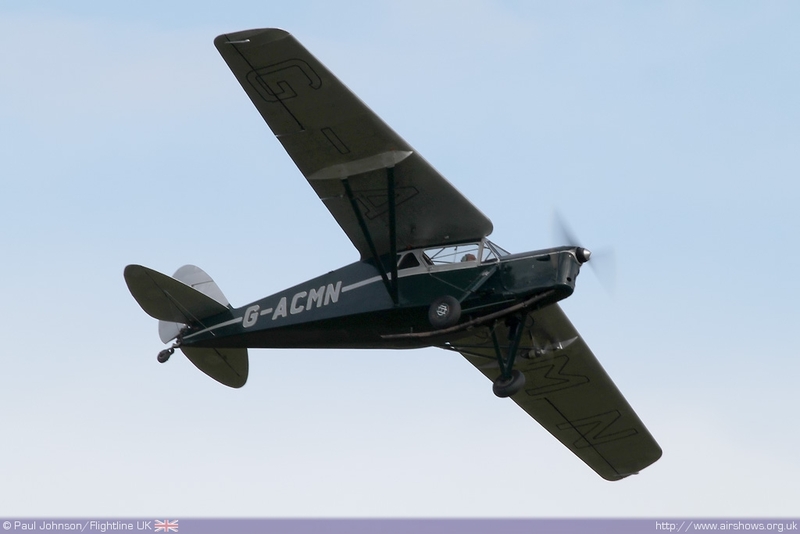 The DH87 Hornet Moth and De Havilland Dragon Rapide (known as the Dominie in RAF service) came from the D&M Miller stable and were joined by a very rare airshow appearance by a De Havilland Leopard Moth owned by M&K Slack. 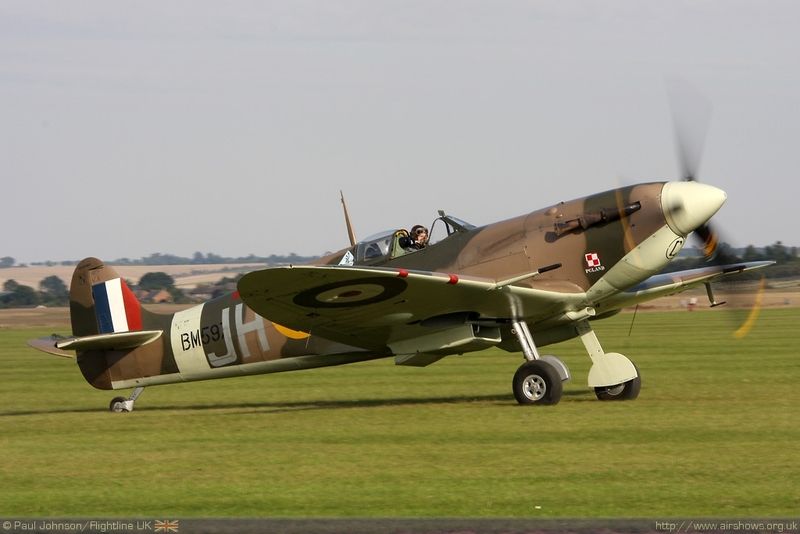 However, it was the "Battle of Britain" fighters that were the real stars of the show. 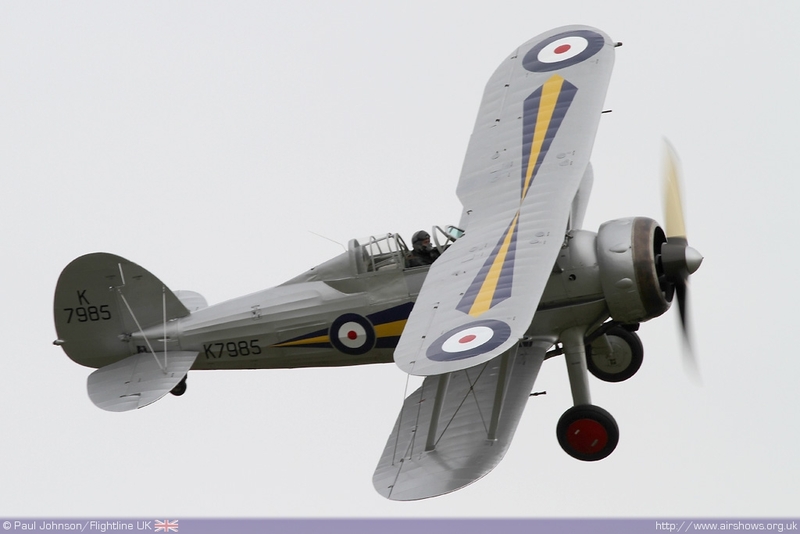 The Shuttleworth Collection's Gloster Gladiator represented the RAF's last biplane fighter that took part on the Battle. On the ground it was joined by the Fighter Collection's newly restored example. 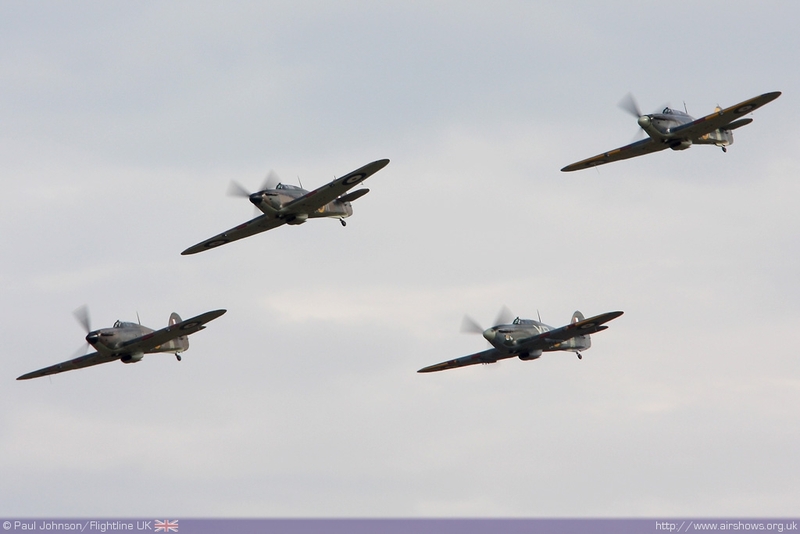 The Hurricane too was well represented by four civilian owned examples flying together; Peter Vacher's genuine Battle of Britain veteran Hurricane I R4118, The Shuttleworth Collection's Sea Hurricane Ib, Peter Teichman's Hurricane IIb and the Historic Aircraft Collection's Hurricane XII. 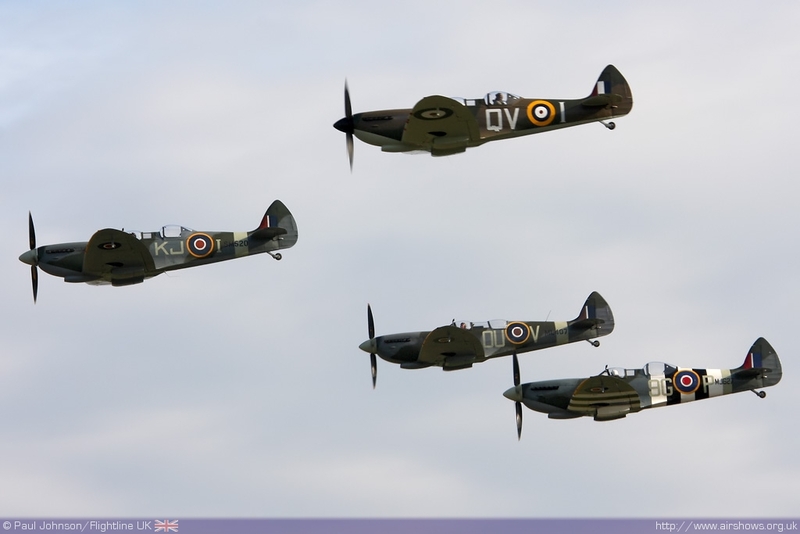 This unique collection of Hurricanes performed a number of passes in close formation before tail-chasing around the Cambridgeshire countryside with the Aircraft Restoration Company's Hispano HA-1112-MIL Buchon (Bf109.) 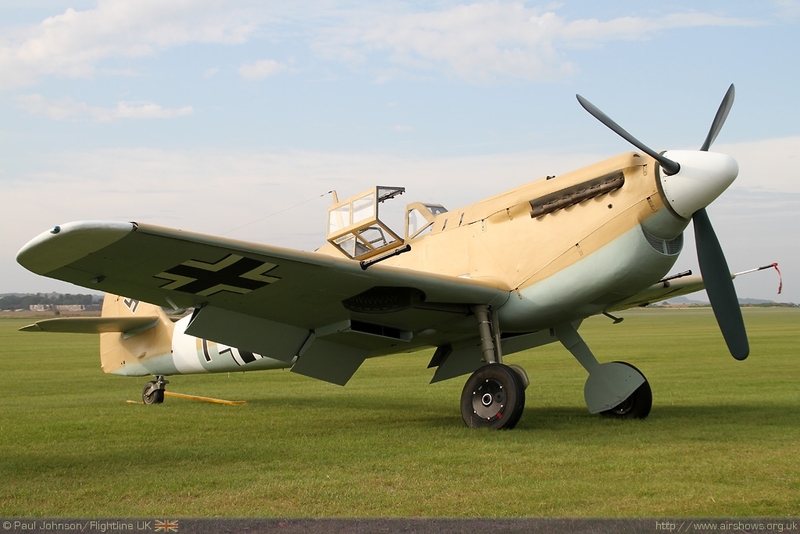 The Buchon was the only example of a Luftwaffe aircraft in the air, though it was joined by a further example a Buchon on the ground in the form of Rob Lake's recently restored example which was making its public debut. 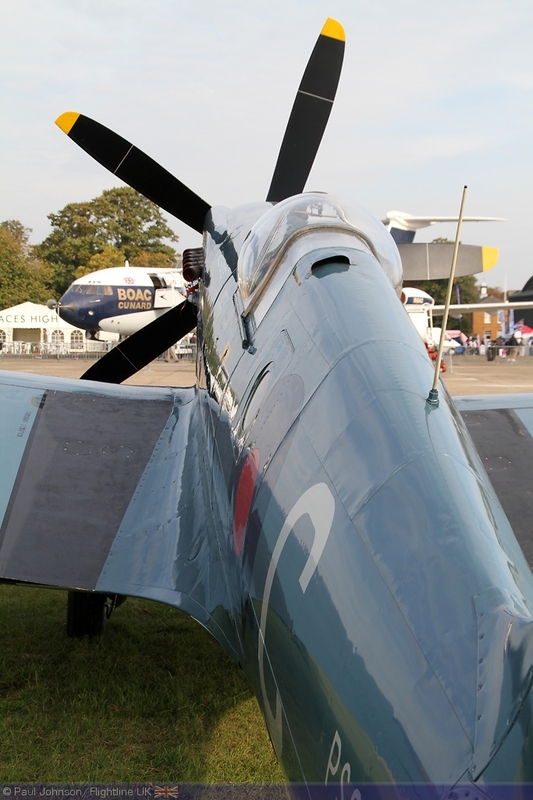 The main highlight of the weekend’s flying were the Spitfires - in fact 15 Spitfires and one Seafire. 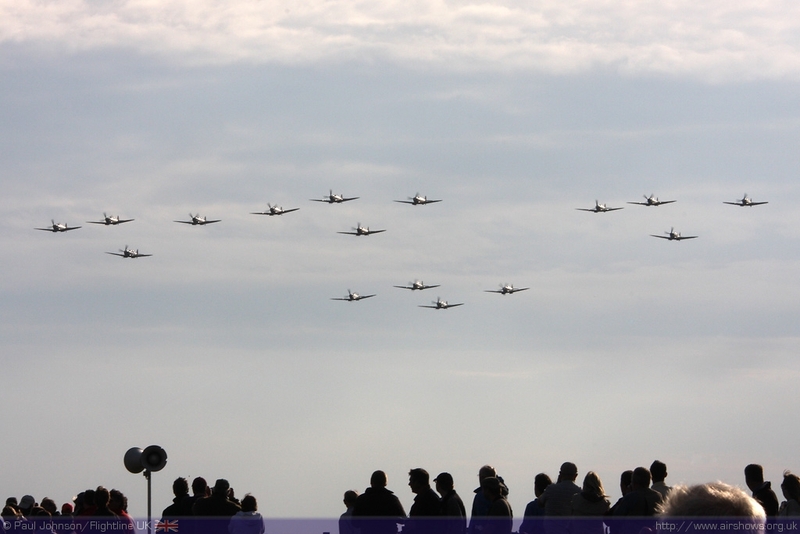 Duxford has seen massed formations of Spitfires before and each occasion has been very special as was 2010. 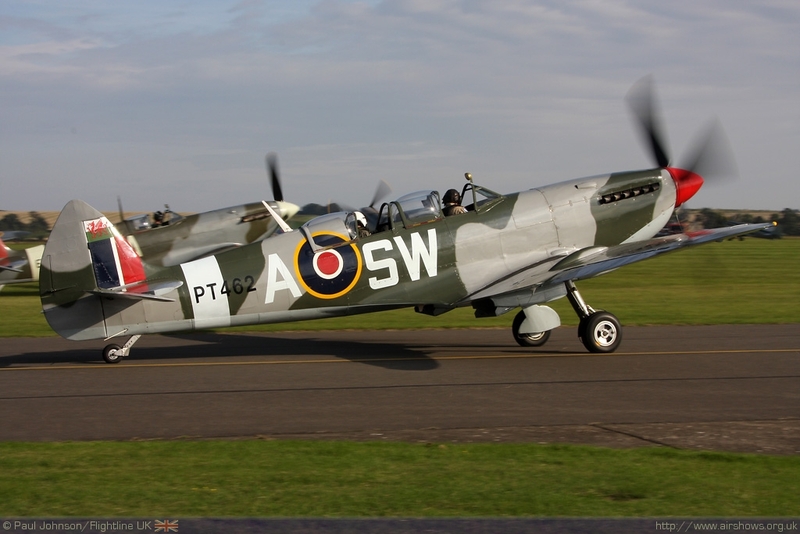 The massed taxy out and take off was simply breathtaking - there was no escaping the glorious noises or smell of these wonderful aircraft warming up and getting into the air. 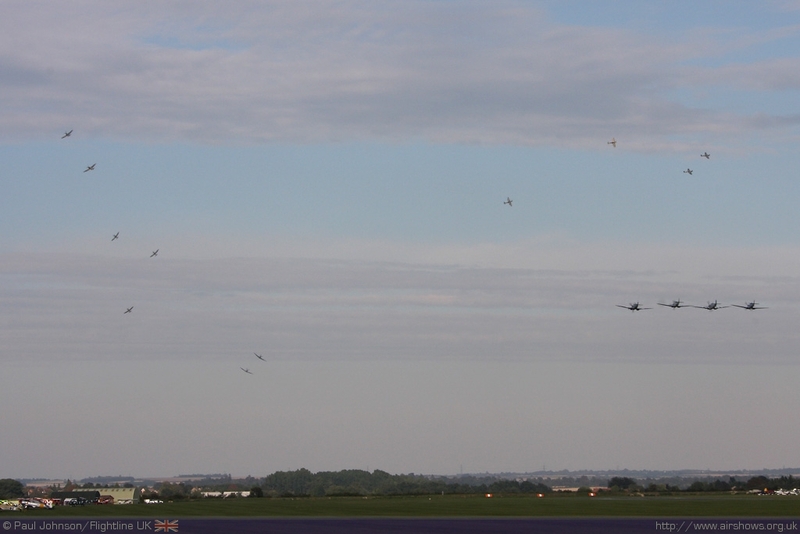 The German trainer pair mentioned earlier and the 19(R) Squadron Hawks flying a missing man formation filled the gap while the formation formed up near Newmarket. 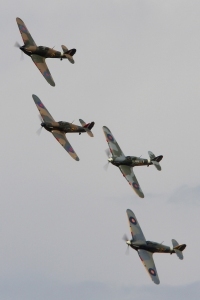 They were soon back in earshot passing to the South of Duxford making an quite incredible roar before turning around the back of Royston to run in over Duxford. 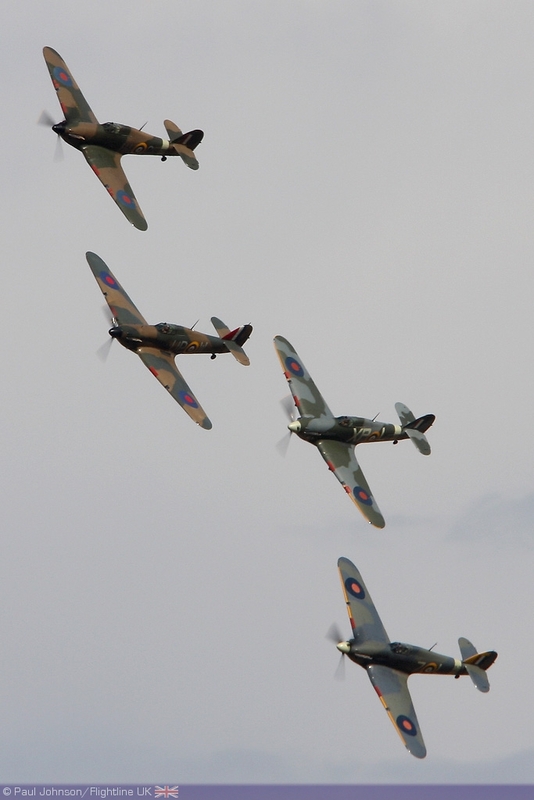 The single massed formation flypast was great, but better was to come. 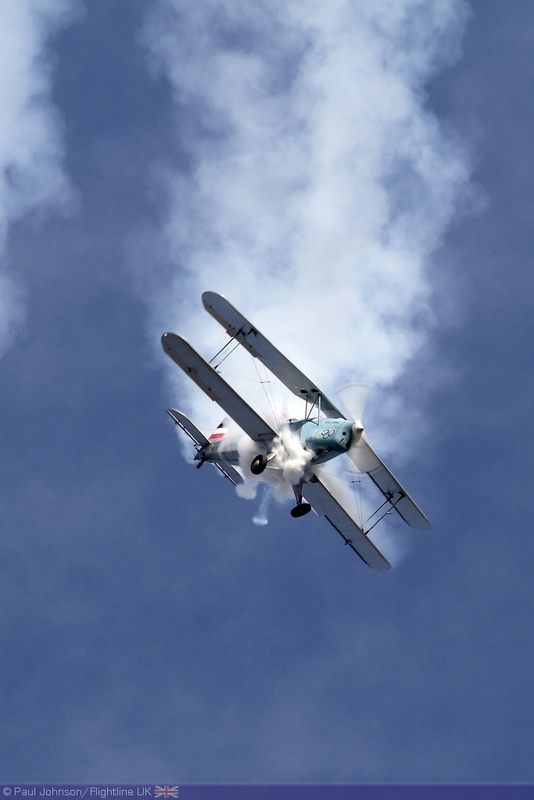 Each section of four split to make a couple of passes on their own in front of the crowd before perhaps one of the best sequences of flying ever seen at Duxford as the elements broke into a quite incredible tail-chase! 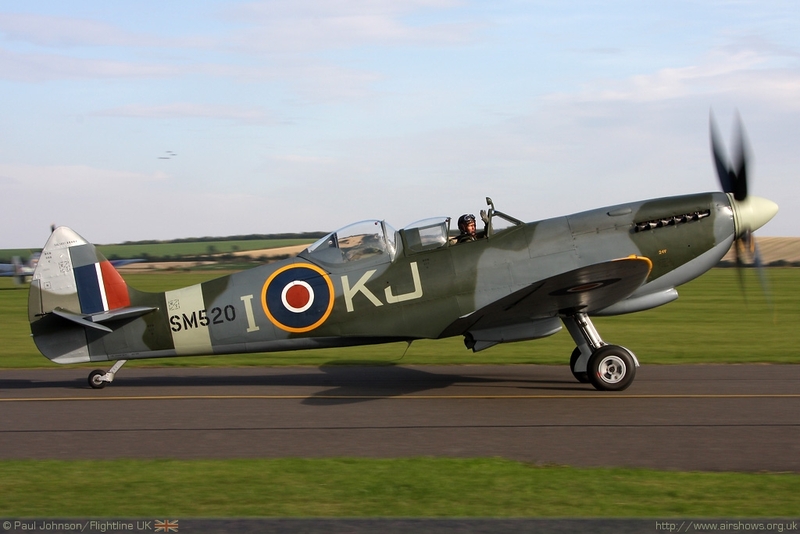 One set of Spitfire tail-chased to the south of the runway over the fields while another passed close to the crowds each time tear-dropping to the north of Duxford at either end of the display line. 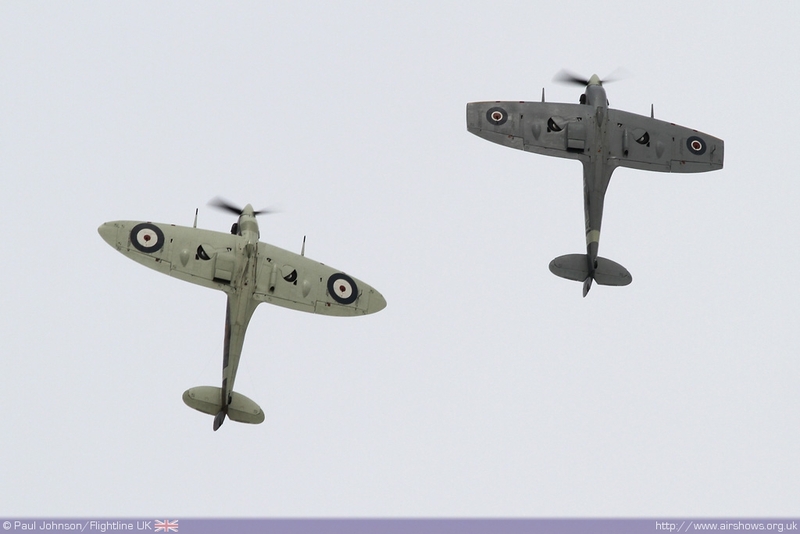 Over the top Alan Wade and Charlie Brown flew close formation aerobatics in TFC's and HAC's Spitfire Vs. 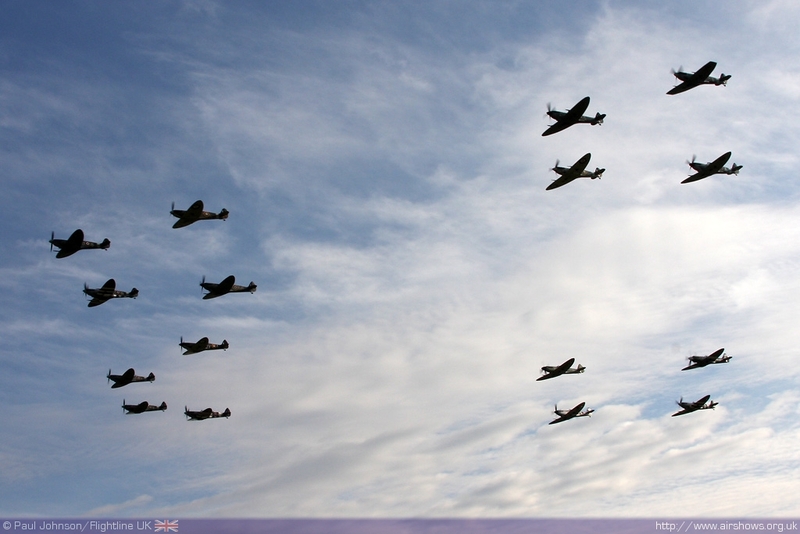 Everywhere you looked, the sky was full of Spitfires. 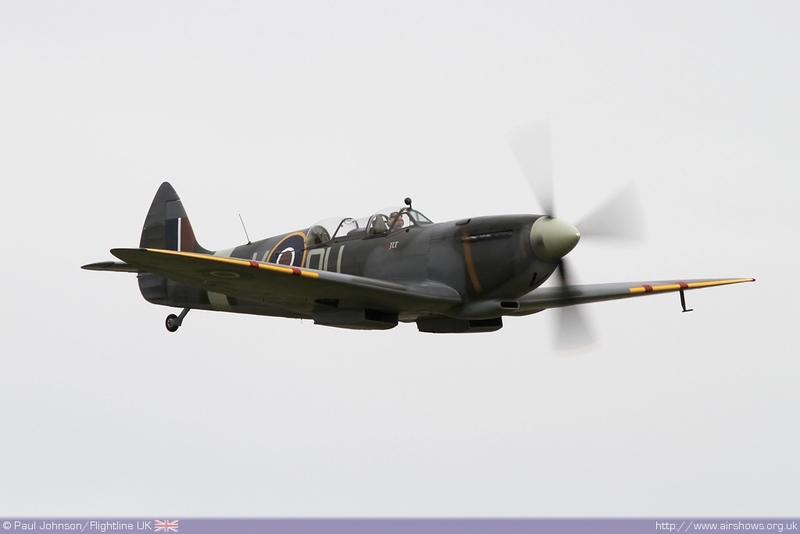 Slowly, the aircraft started to land to end the display before a final solo display by Brian Smith in OFMC's Spitfire IX MH434, perhaps the most famous Spitfire of all. 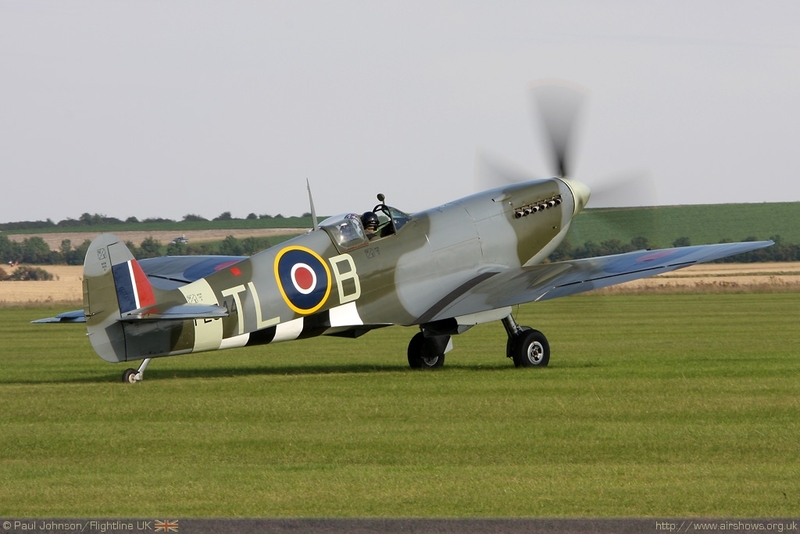 This was Duxford at its very, very best and this particularly show was perhaps the overall highlight of the UK airshow season in 2010! 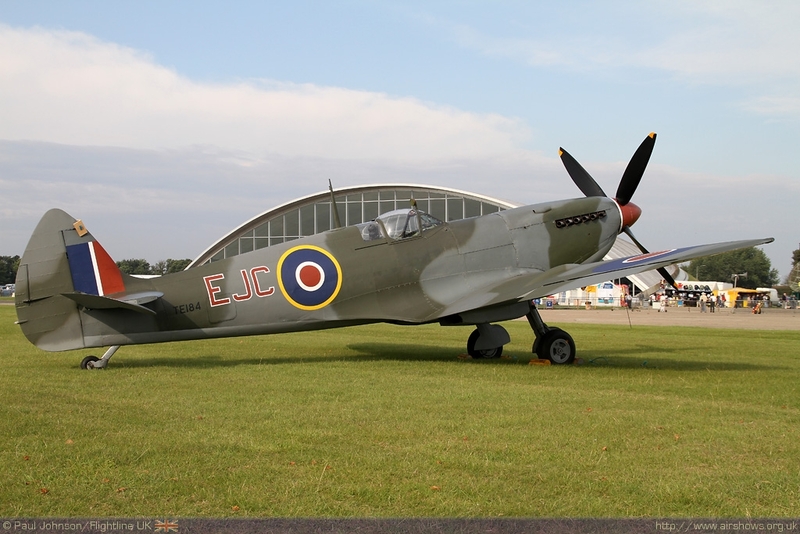 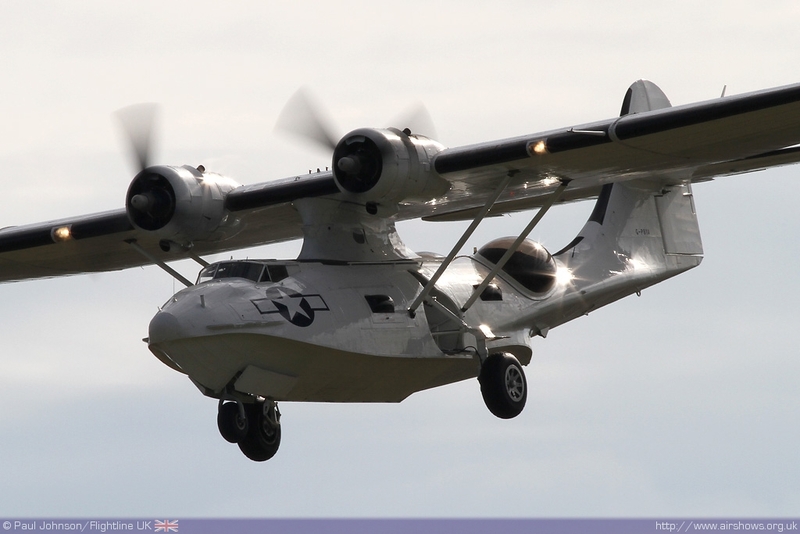 We hope it's not too long before Duxford puts together something this special again!